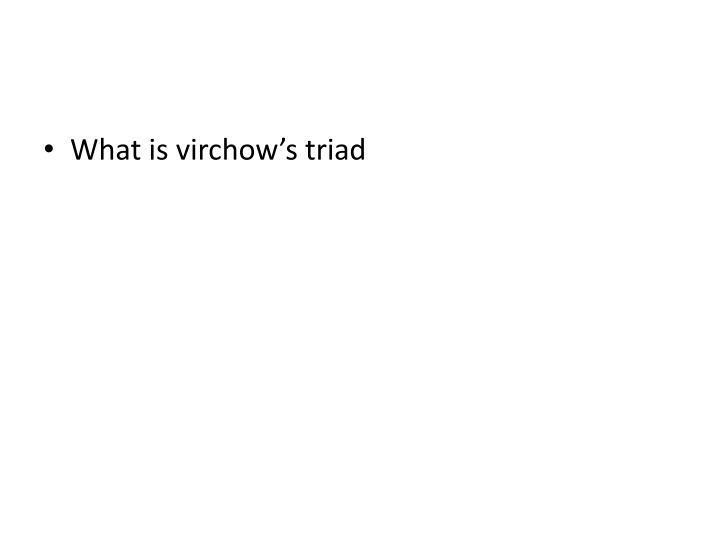 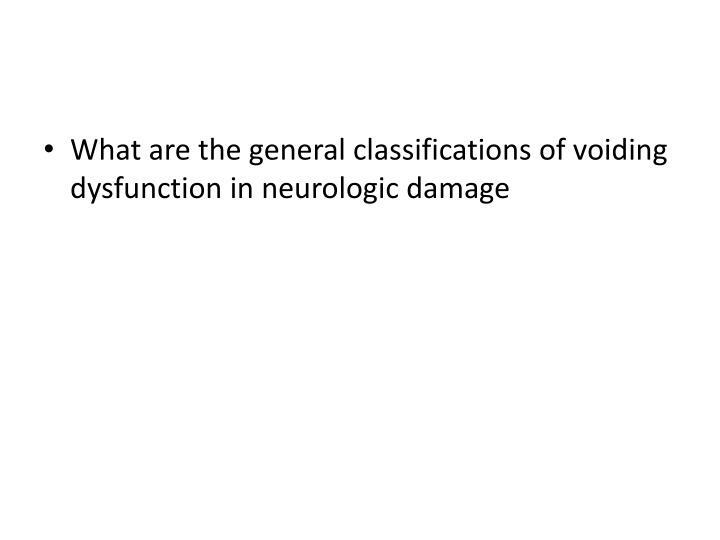 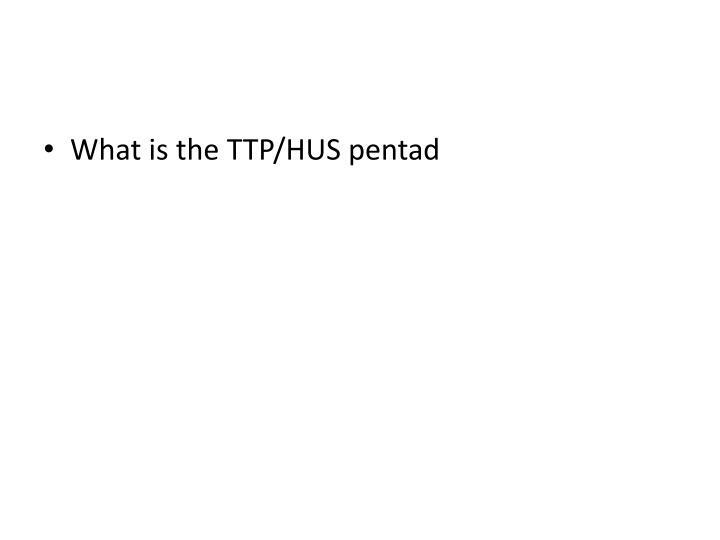 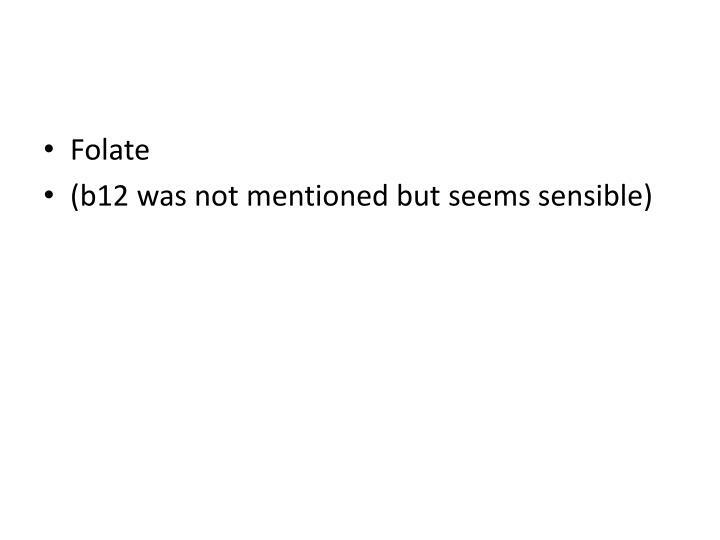 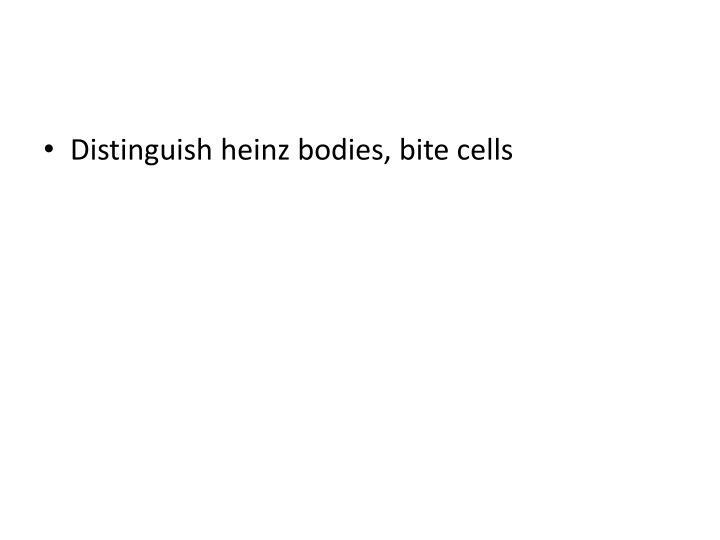 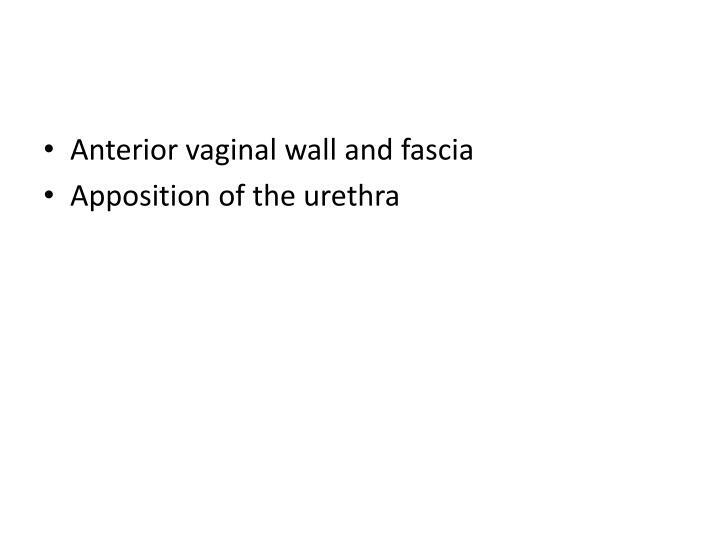 These represent my understanding of the subject and have not been vetted or reviewed by faculty. Use at your own peril. 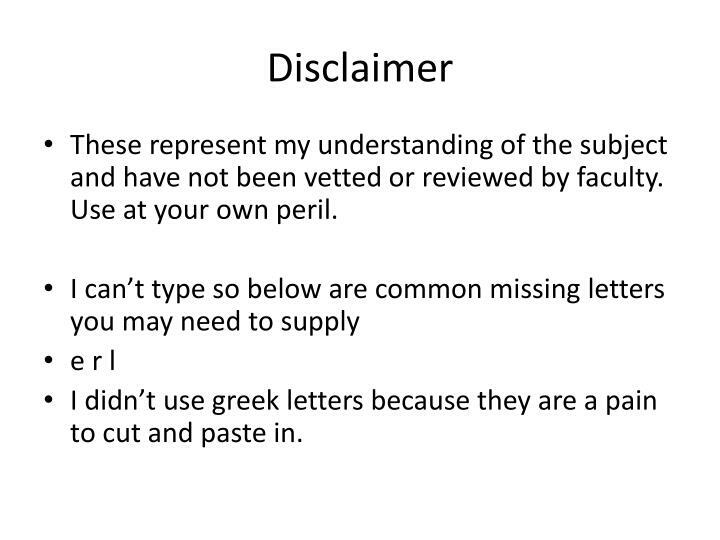 I didn’t use greek letters because they are a pain to cut and paste in. 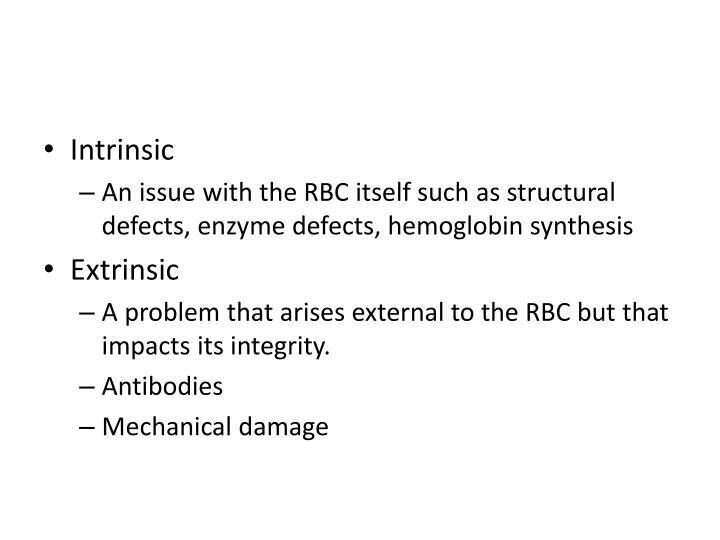 A problem that arises external to the RBC but that impacts its integrity. 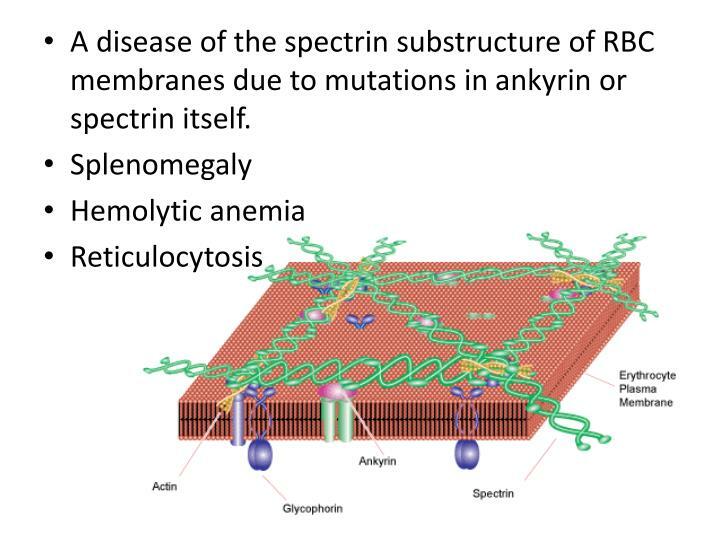 A disease of the spectrin substructure of RBC membranes due to mutations in ankyrin or spectrin itself. 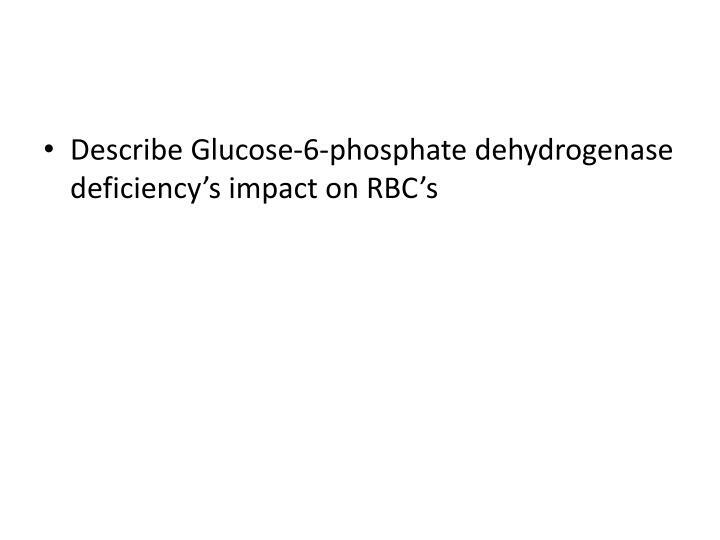 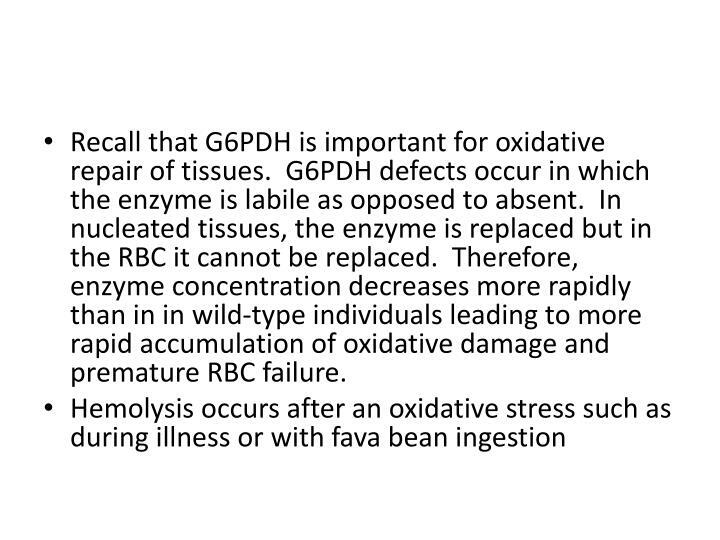 Recall that G6PDH is important for oxidative repair of tissues. 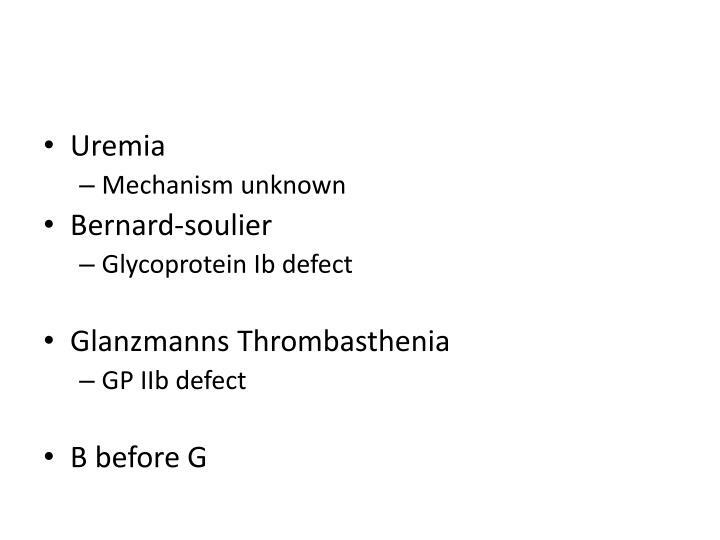 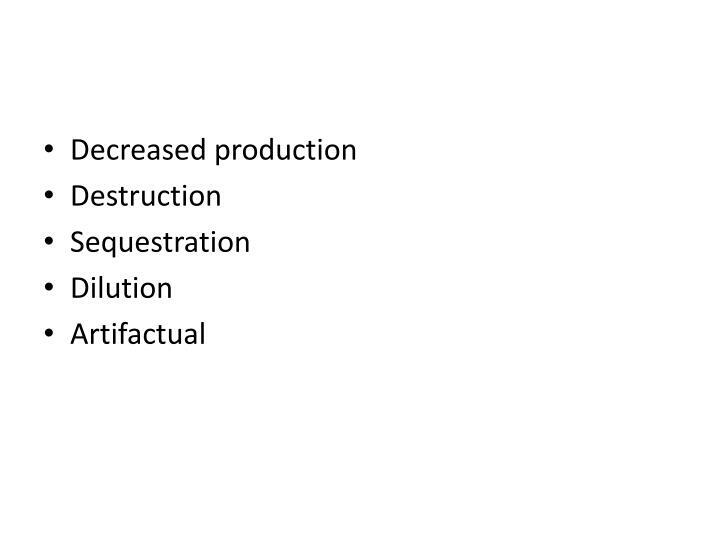 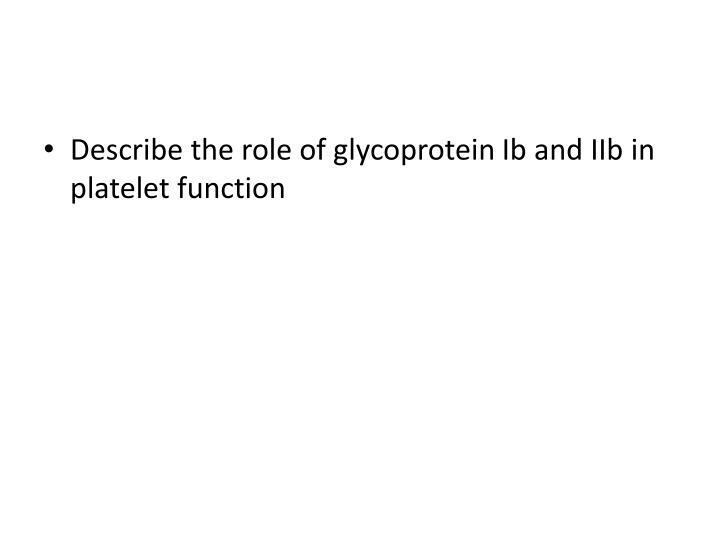 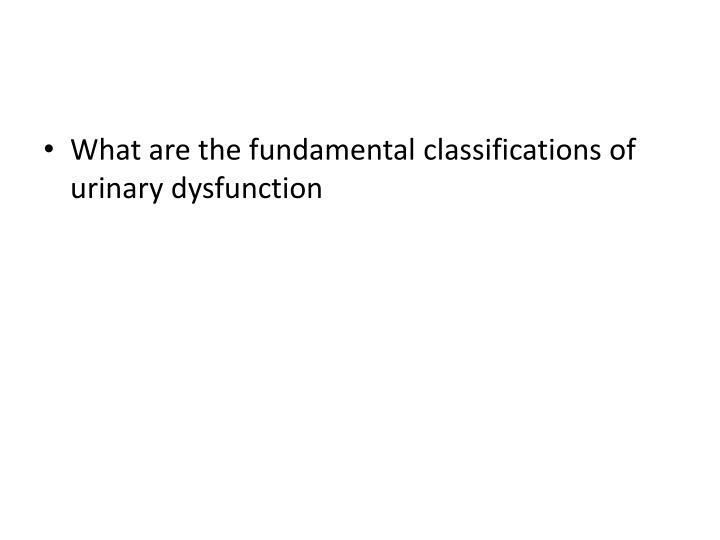 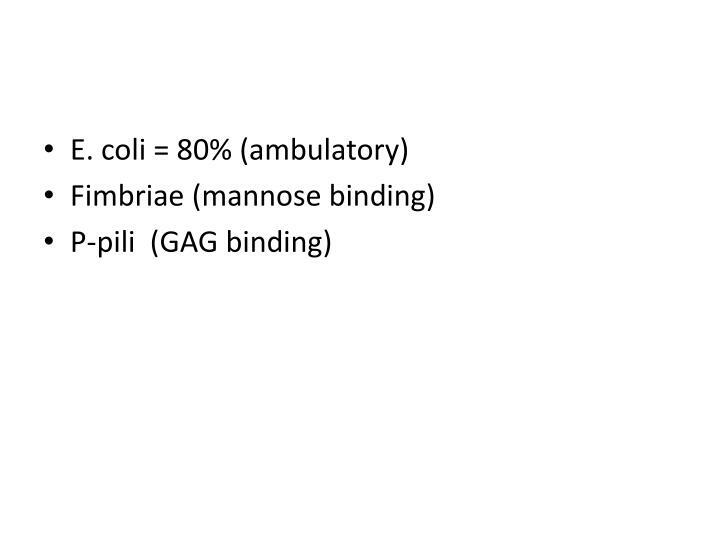 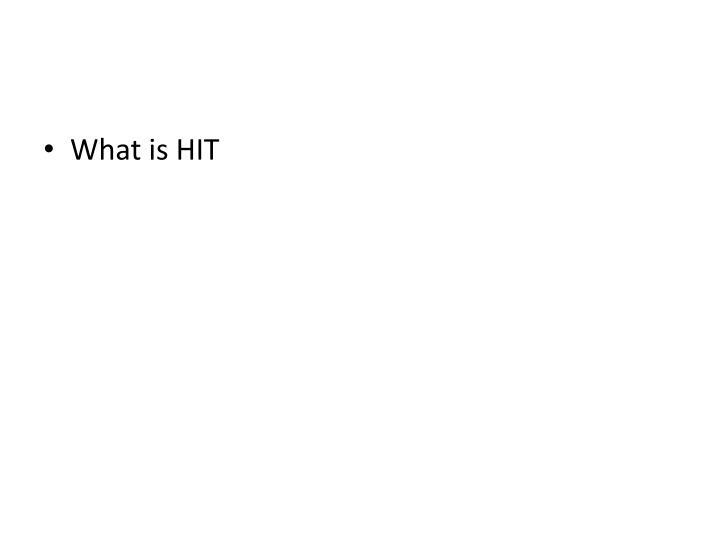 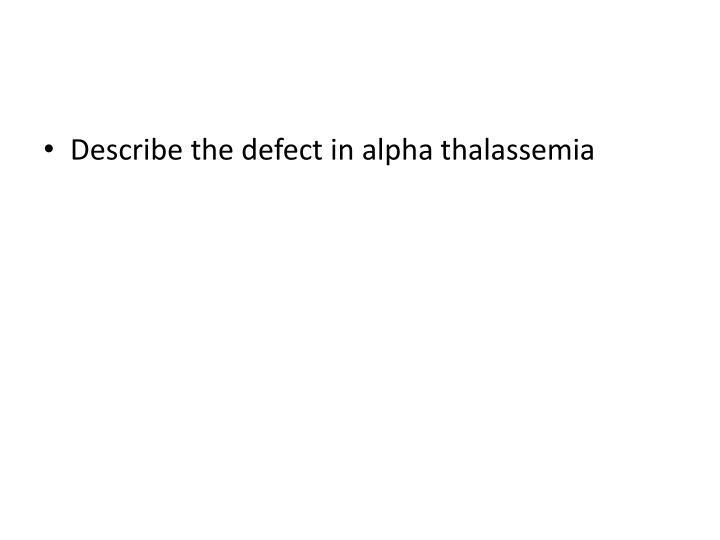 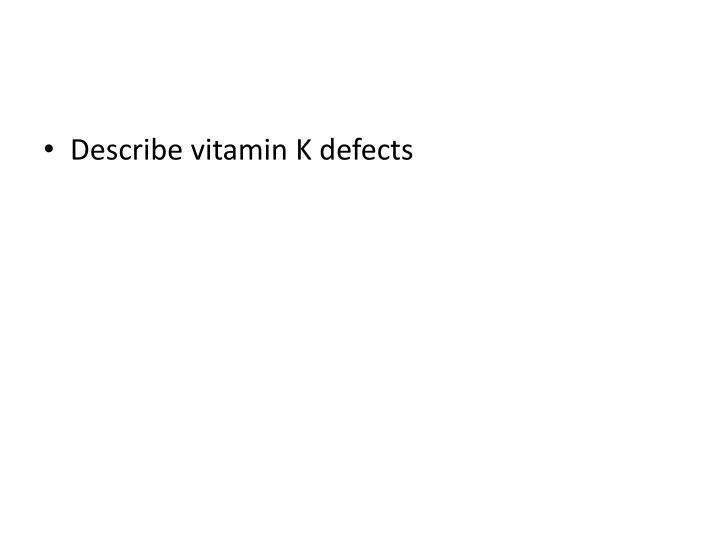 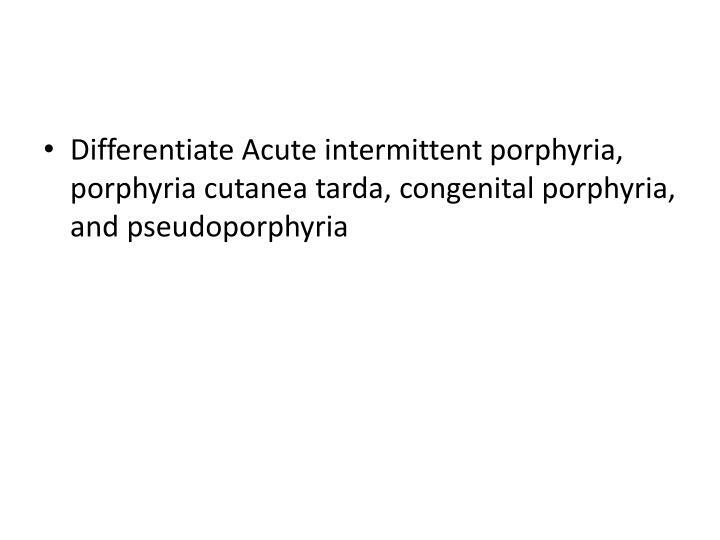 G6PDH defects occur in which the enzyme is labile as opposed to absent. 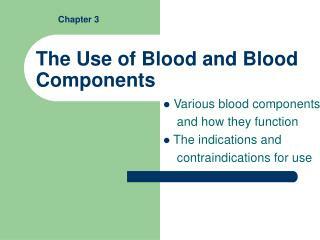 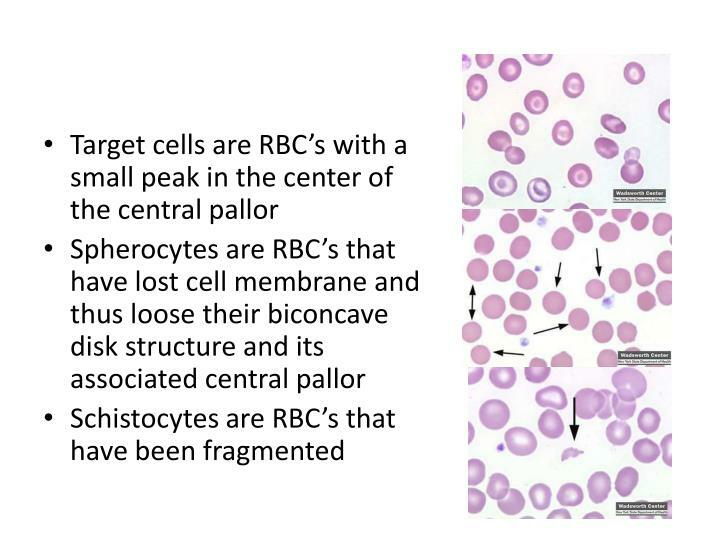 In nucleated tissues, the enzyme is replaced but in the RBC it cannot be replaced. 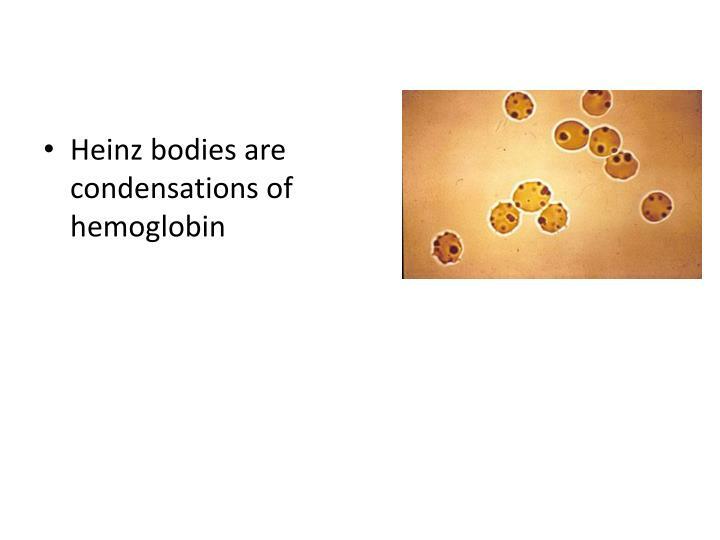 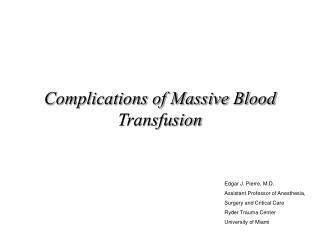 Therefore, enzyme concentration decreases more rapidly than in in wild-type individuals leading to more rapid accumulation of oxidative damage and premature RBC failure. 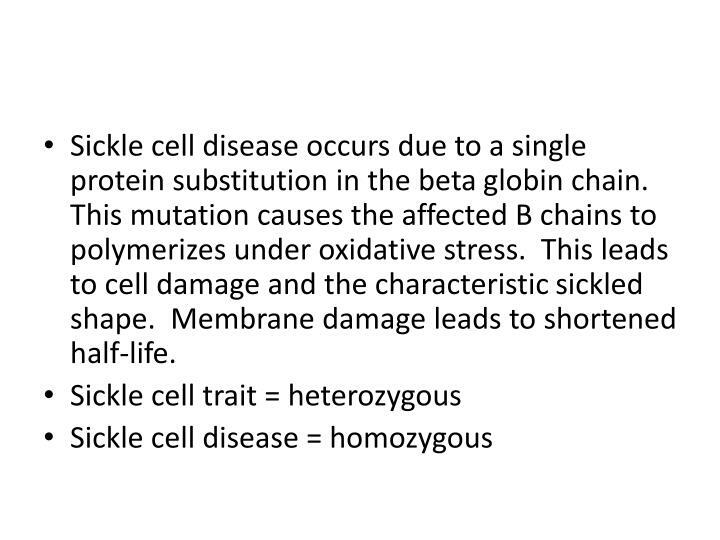 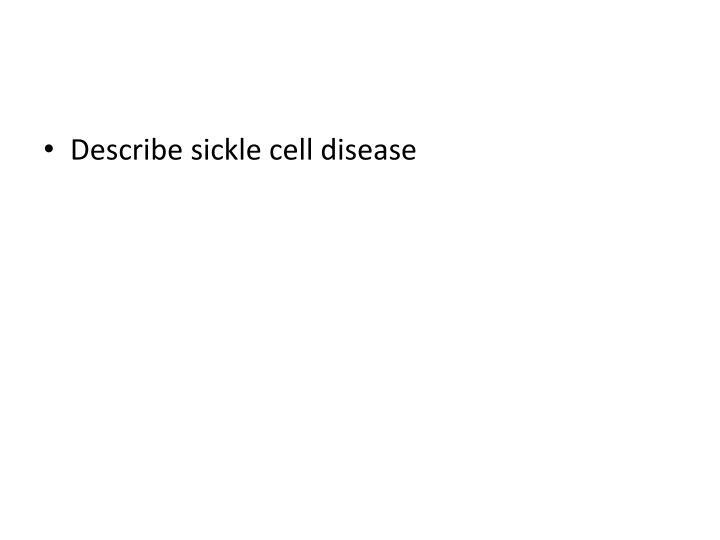 Sickle cell disease occurs due to a single protein substitution in the beta globin chain. 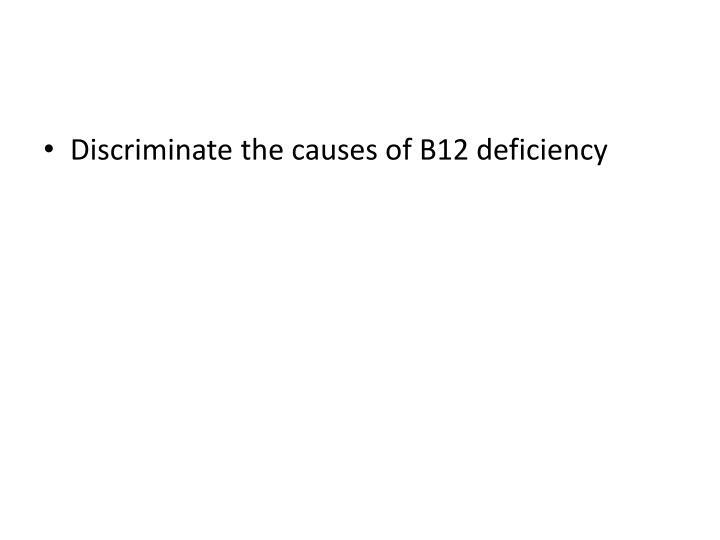 This mutation causes the affected B chains to polymerizes under oxidative stress. 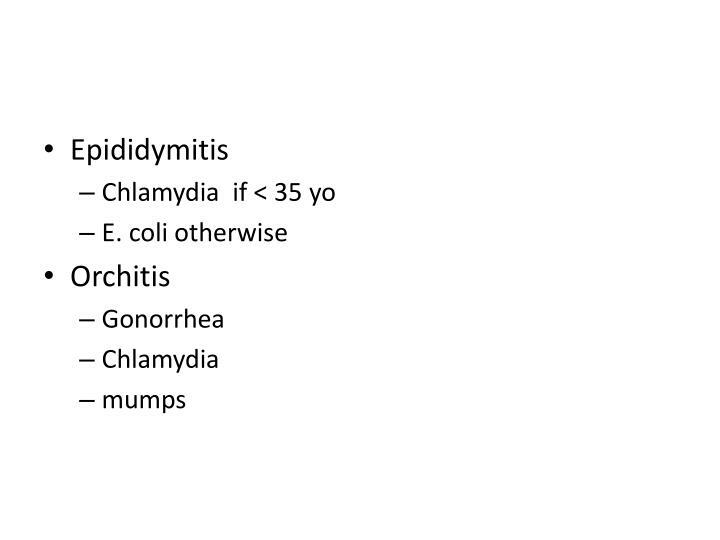 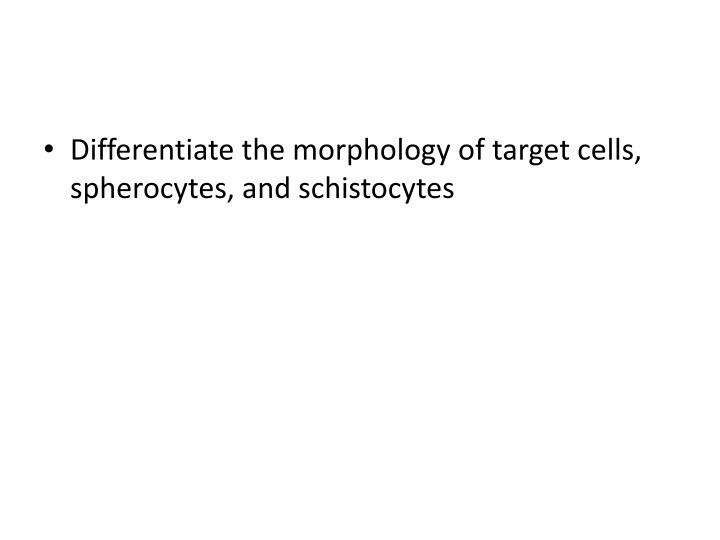 This leads to cell damage and the characteristic sickled shape. 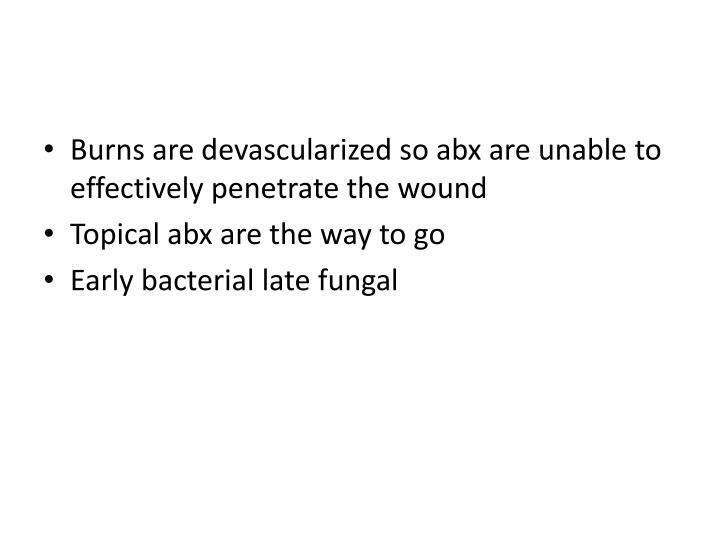 Membrane damage leads to shortened half-life. 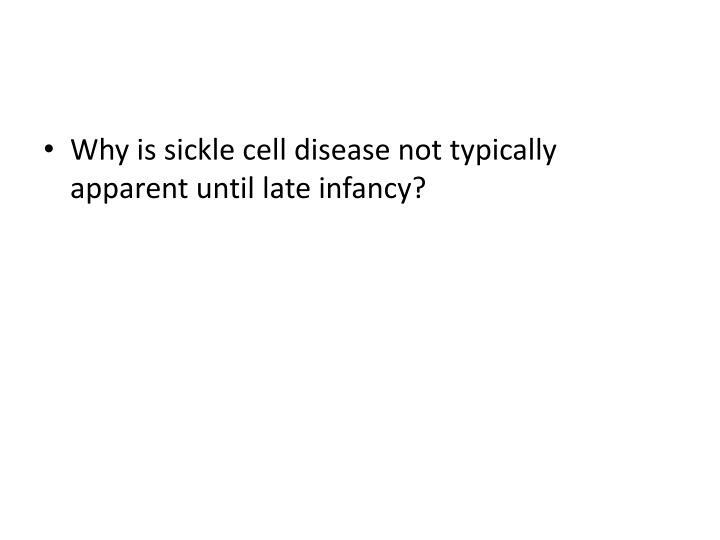 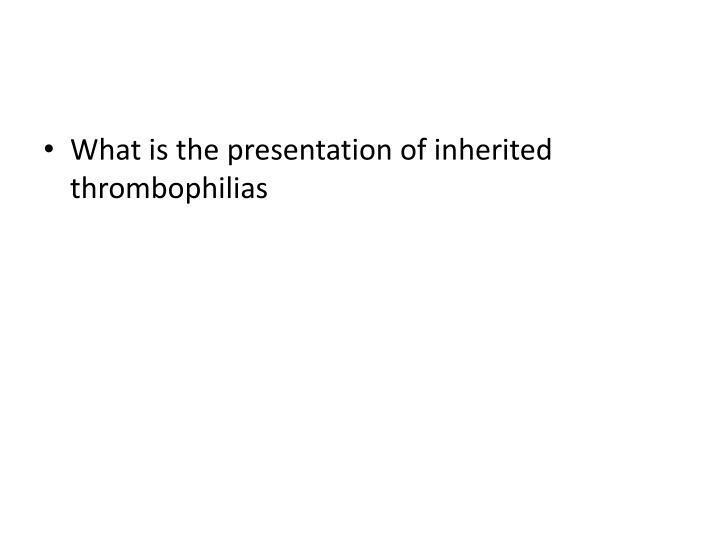 Why is sickle cell disease not typically apparent until late infancy? 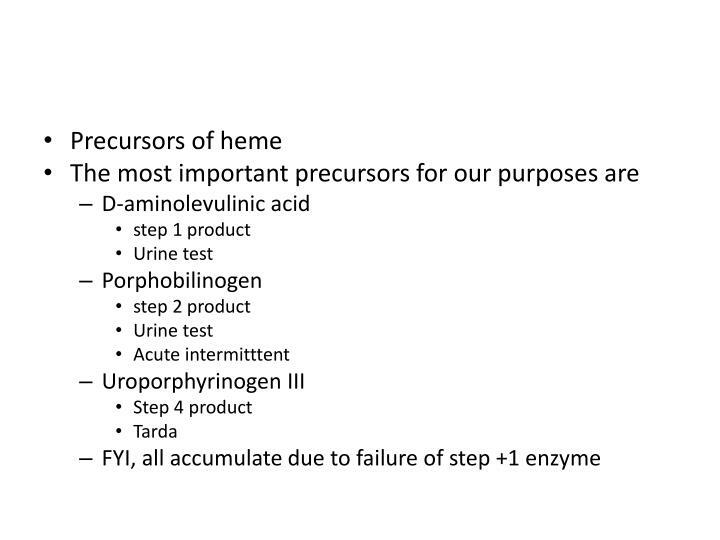 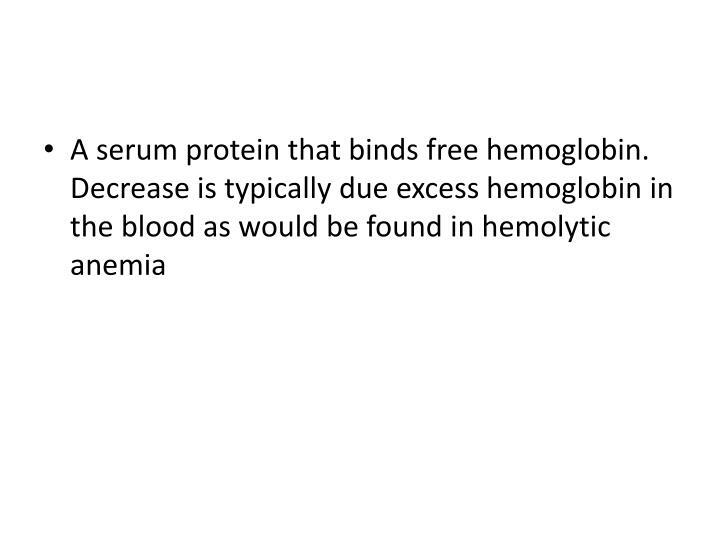 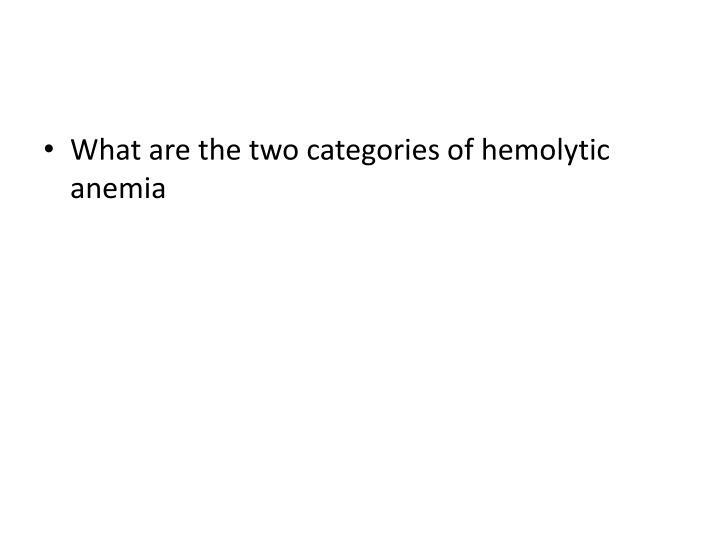 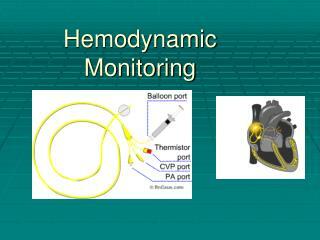 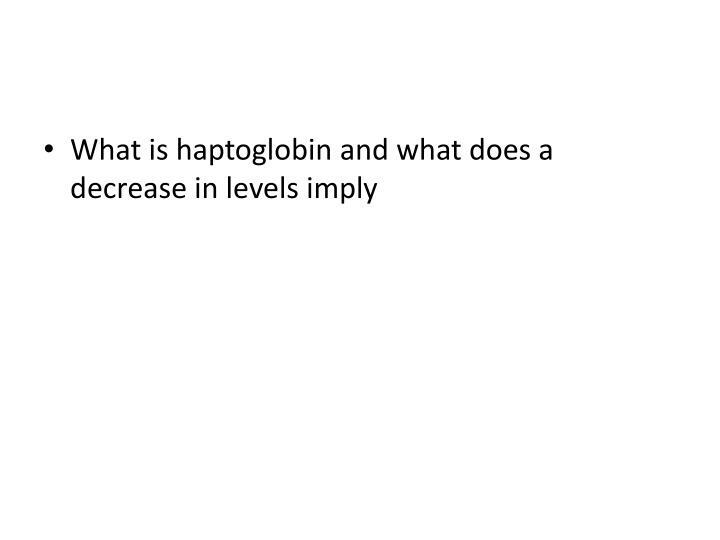 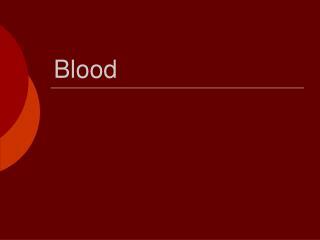 Fetal hemoglobin production continues to occur giving a2g2 hemoglobin that is not susceptible to sickling. 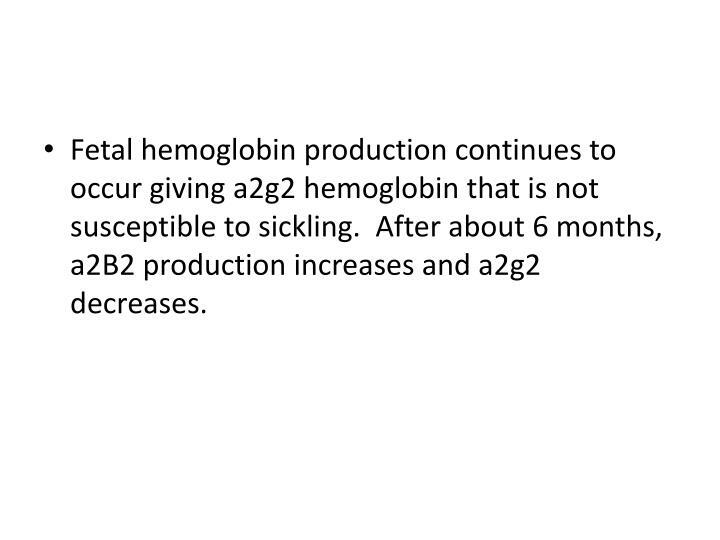 After about 6 months, a2B2 production increases and a2g2 decreases. 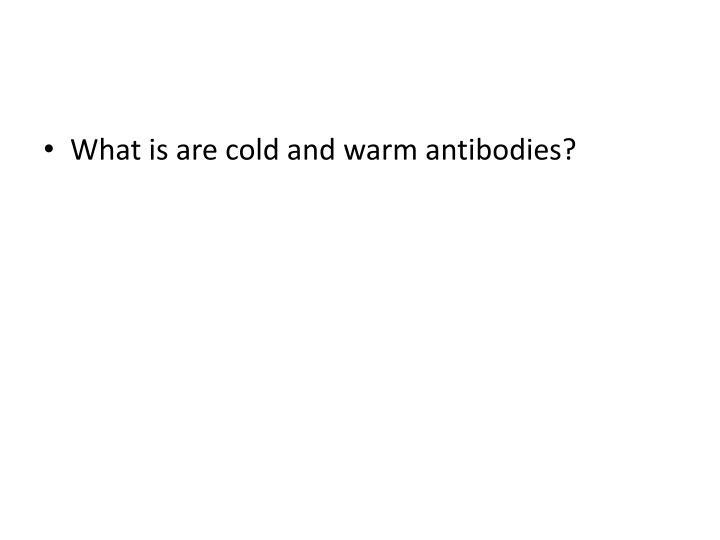 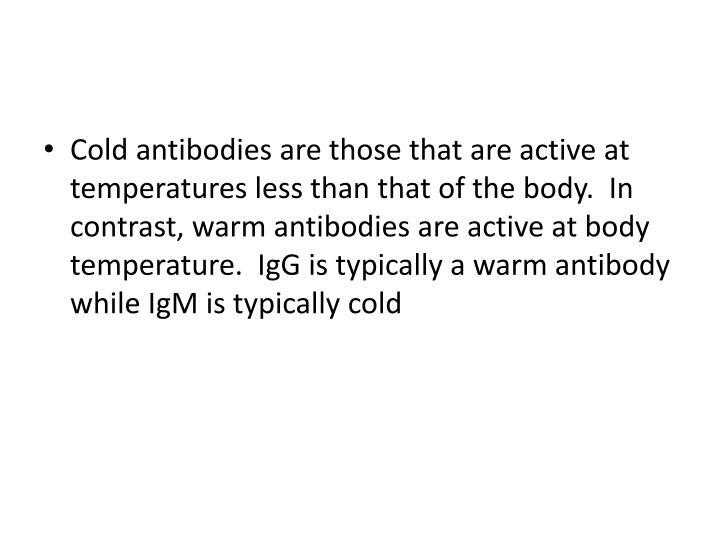 What is are cold and warm antibodies? Why do you care about cold and warm antibodies? 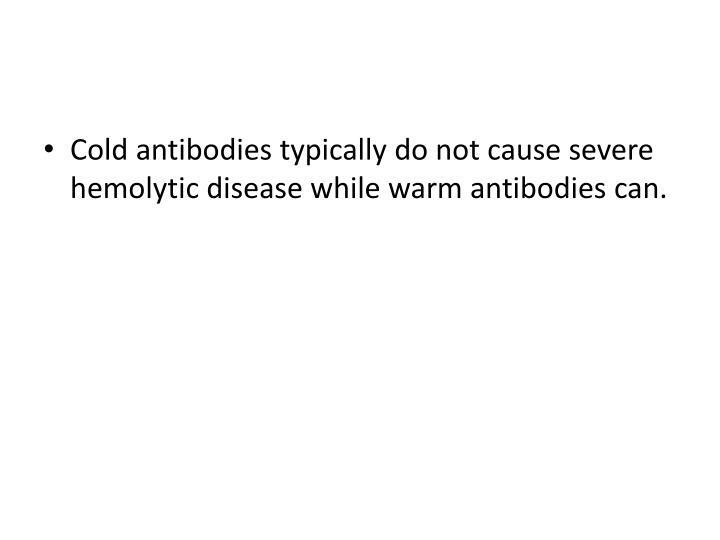 Cold antibodies typically do not cause severe hemolytic disease while warm antibodies can. 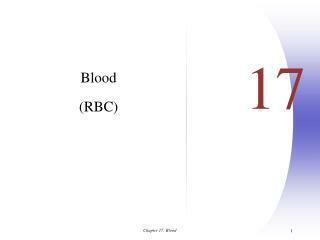 A number expressing the range in sizes of RBC’s found in a CBC. 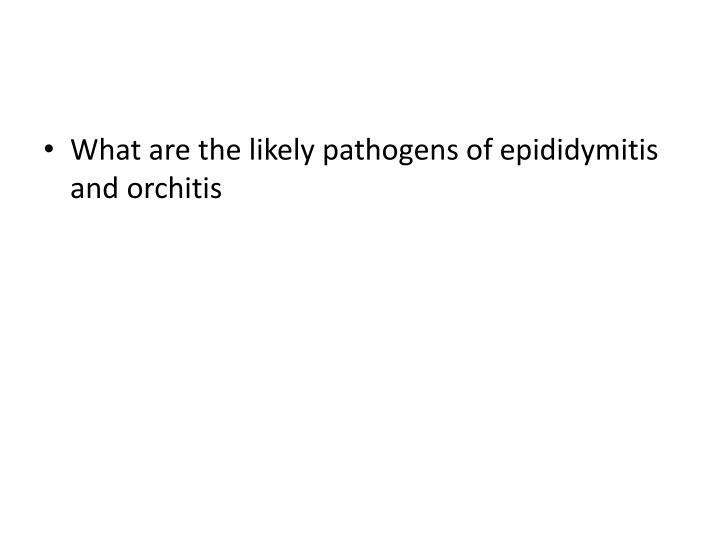 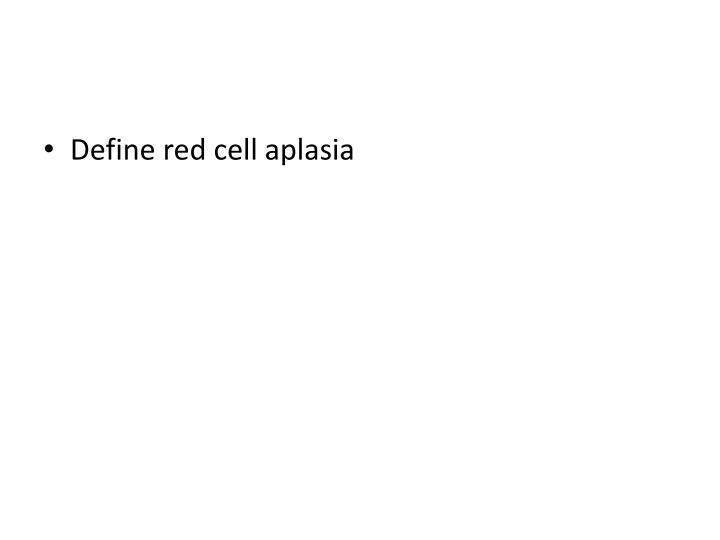 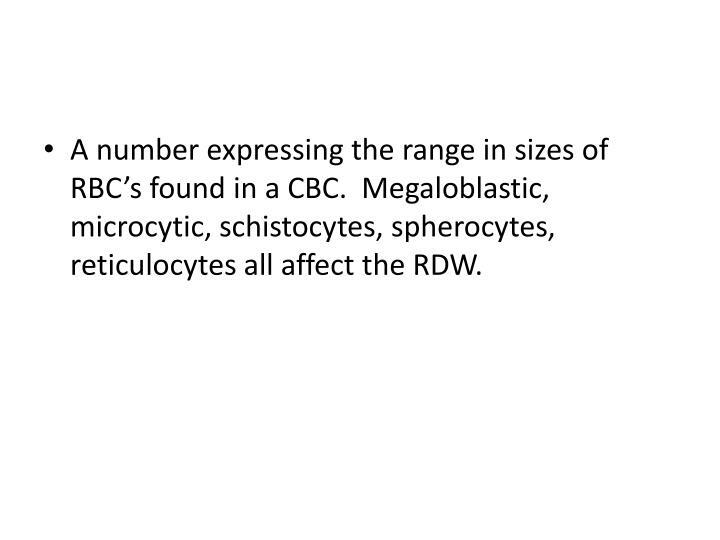 Megaloblastic, microcytic, schistocytes, spherocytes, reticulocytes all affect the RDW. 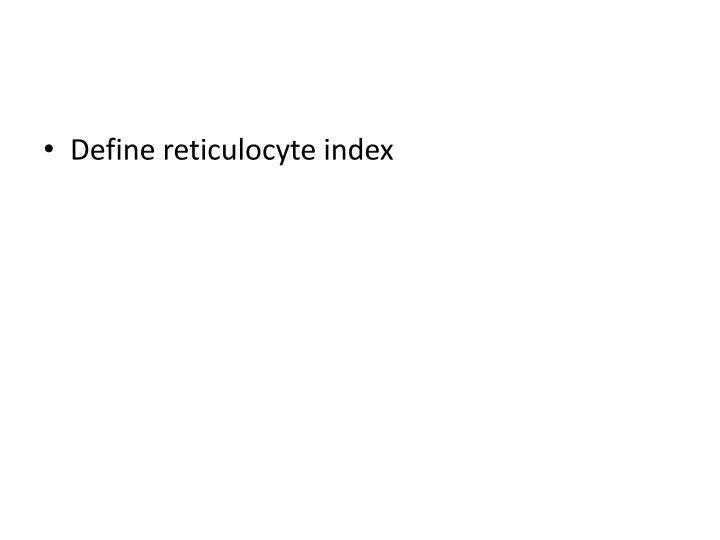 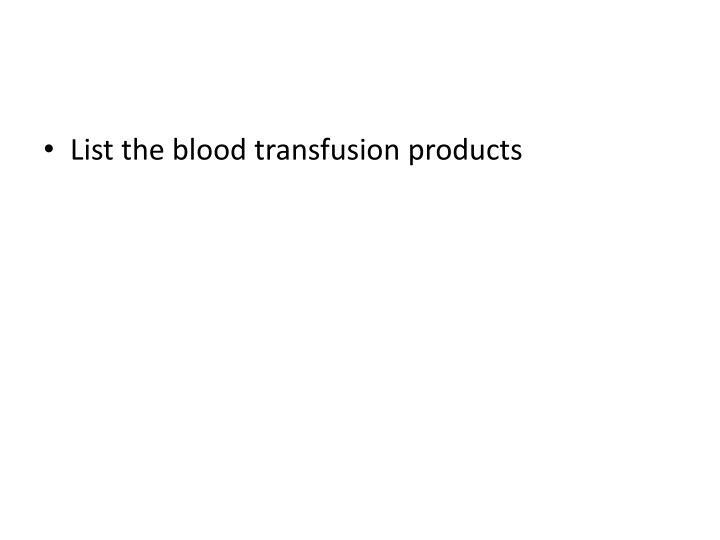 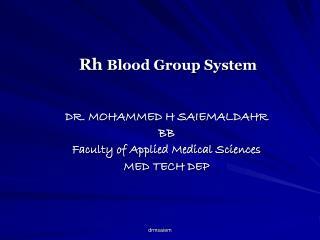 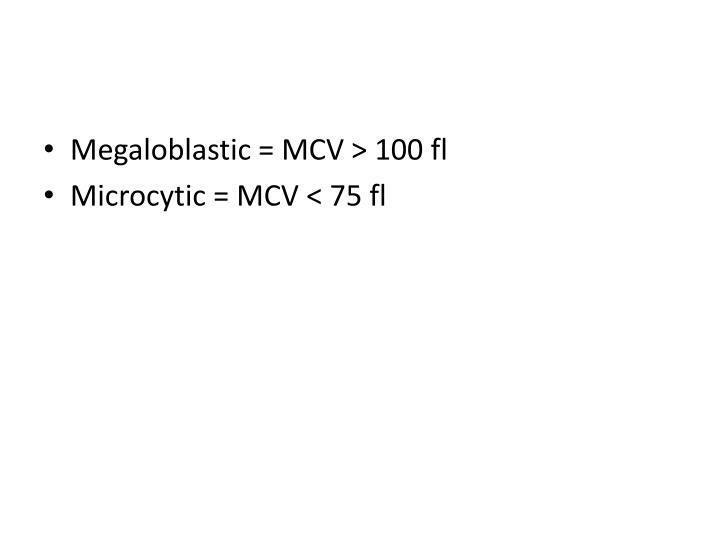 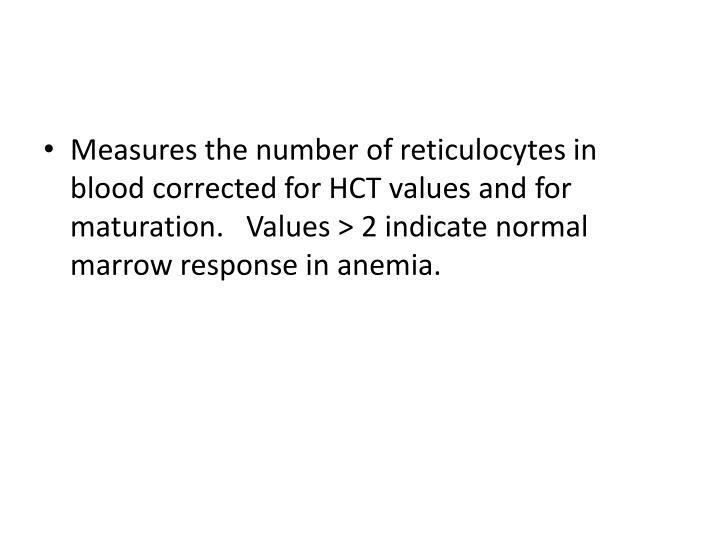 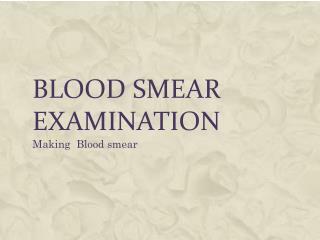 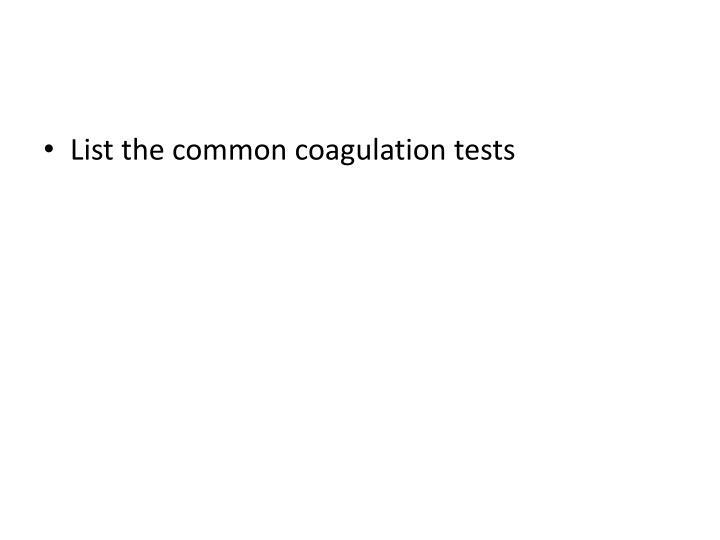 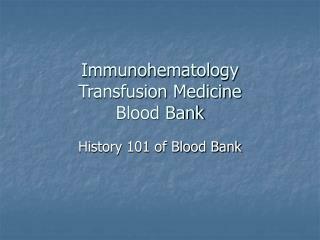 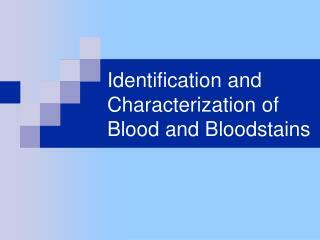 Measures the number of reticulocytes in blood corrected for HCT values and for maturation. 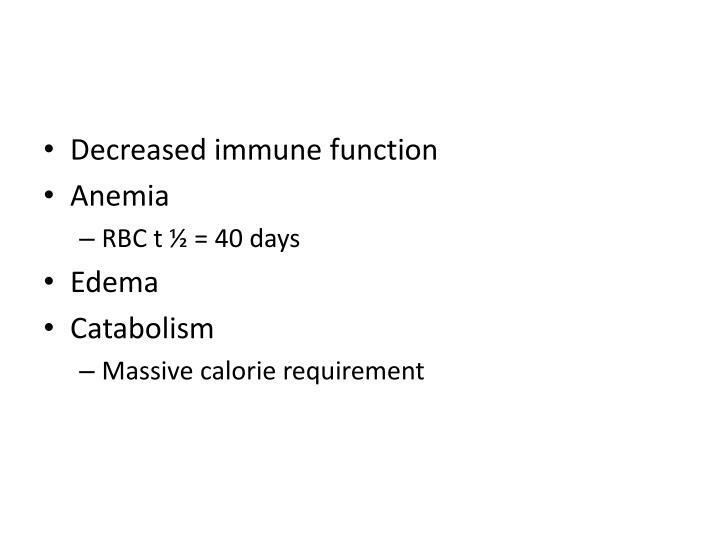 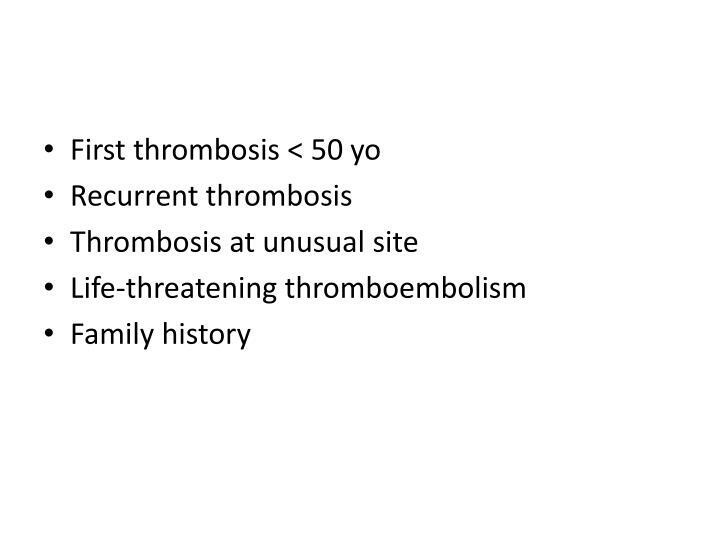 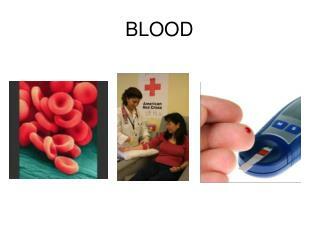 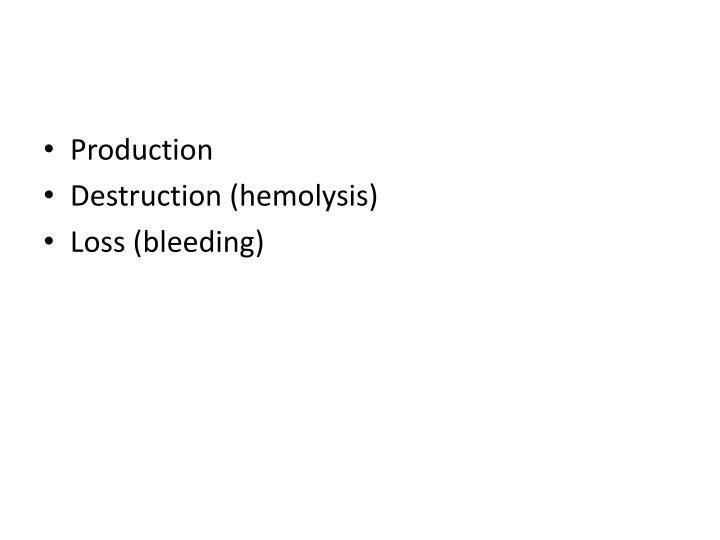 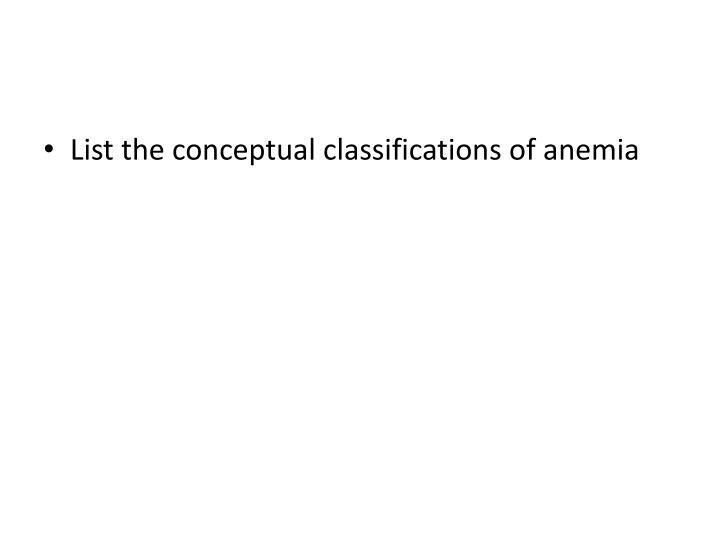 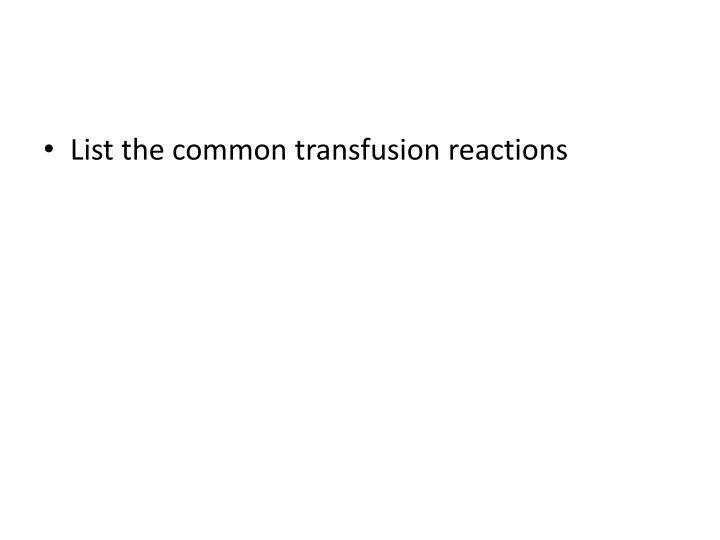 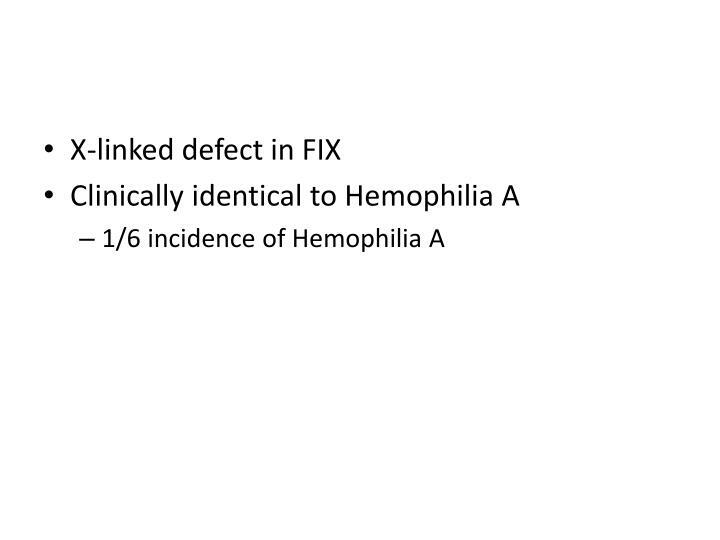 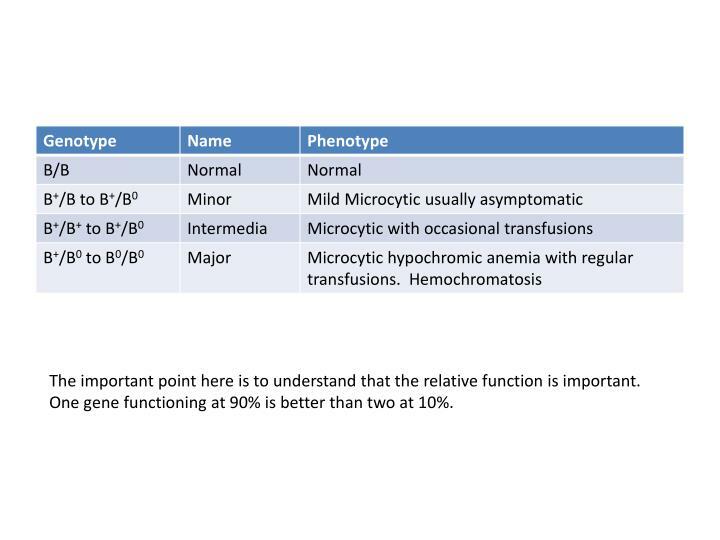 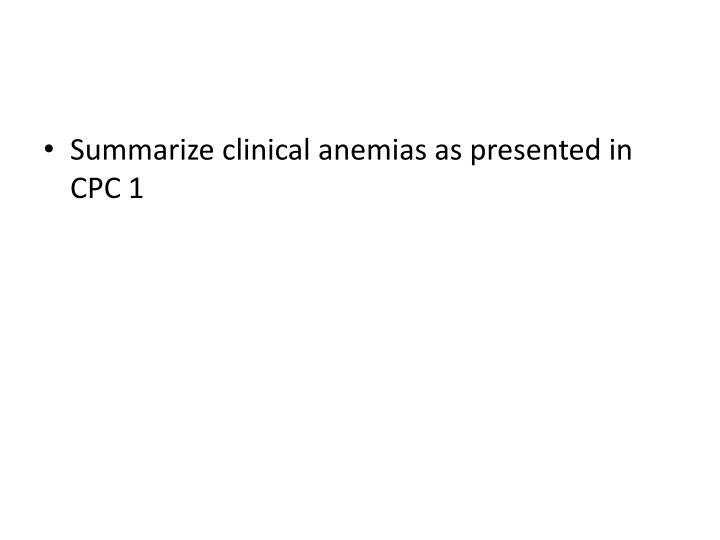 Values > 2 indicate normal marrow response in anemia. 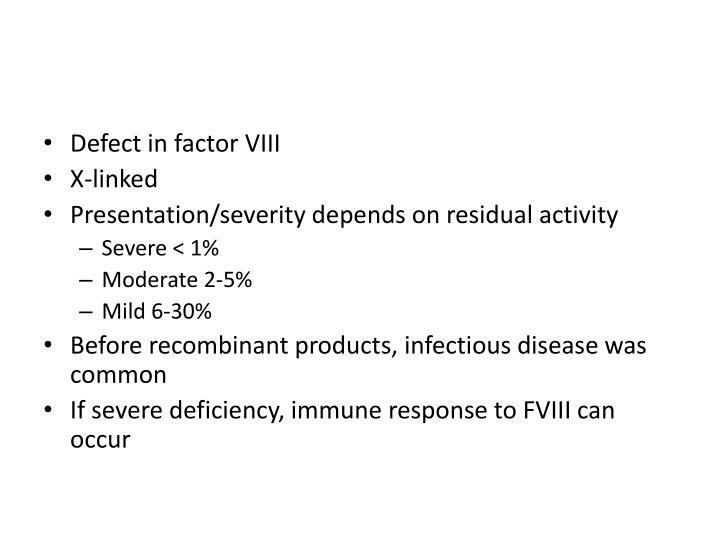 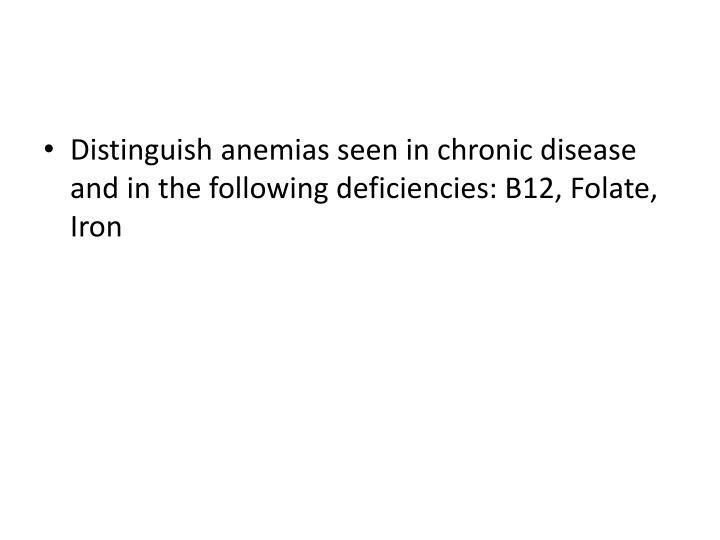 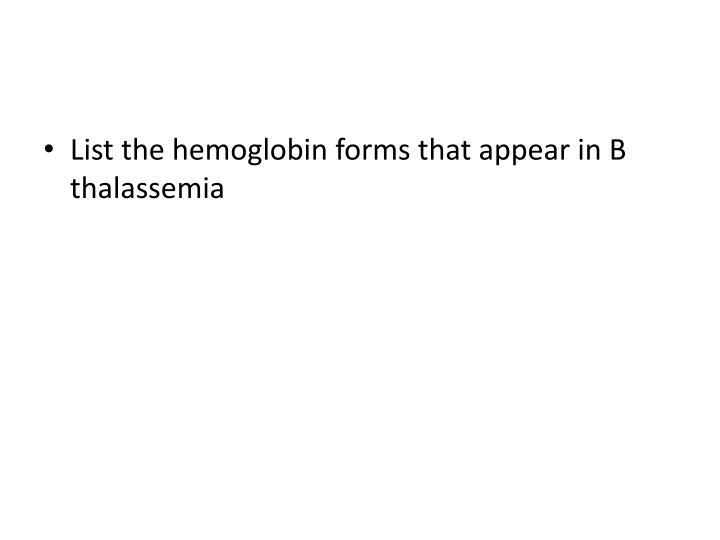 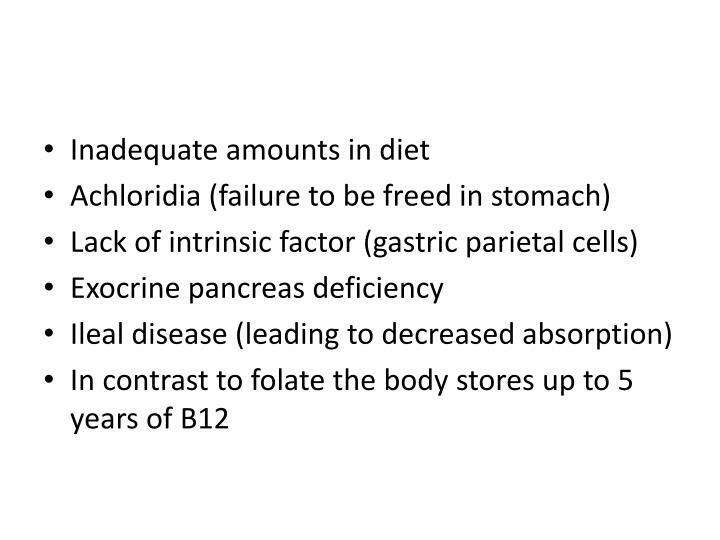 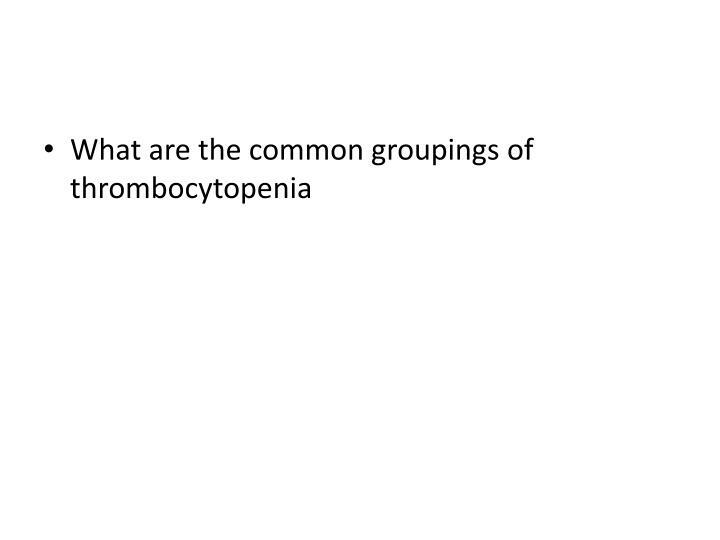 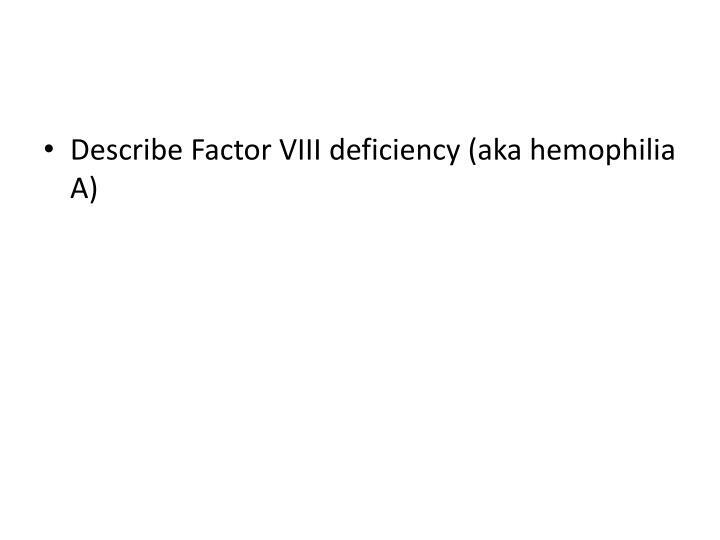 B12 and folate deficiency cause a normochromicmegaloblastic anemia. 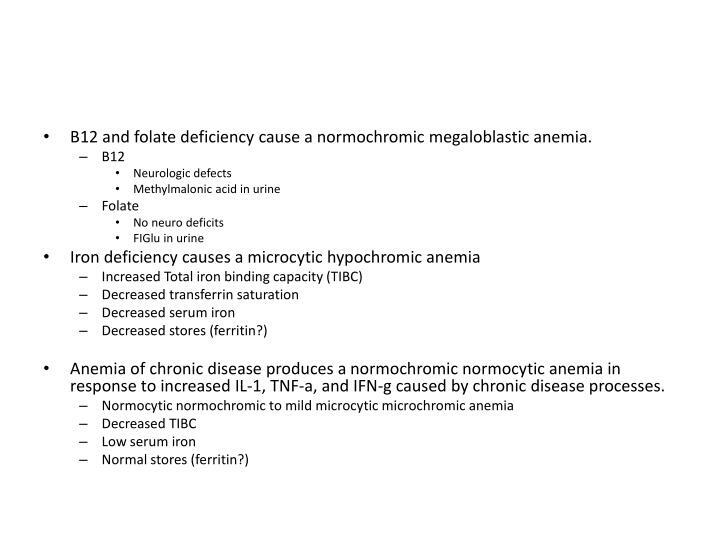 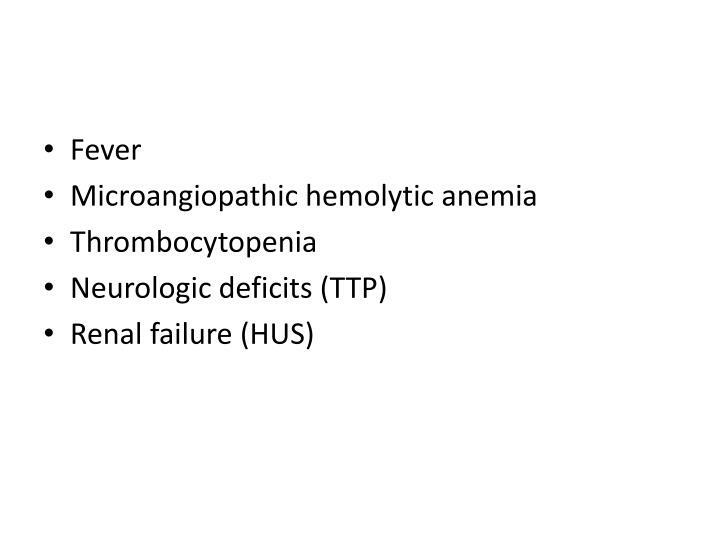 Anemia of chronic disease produces a normochromicnormocytic anemia in response to increased IL-1, TNF-a, and IFN-g caused by chronic disease processes. 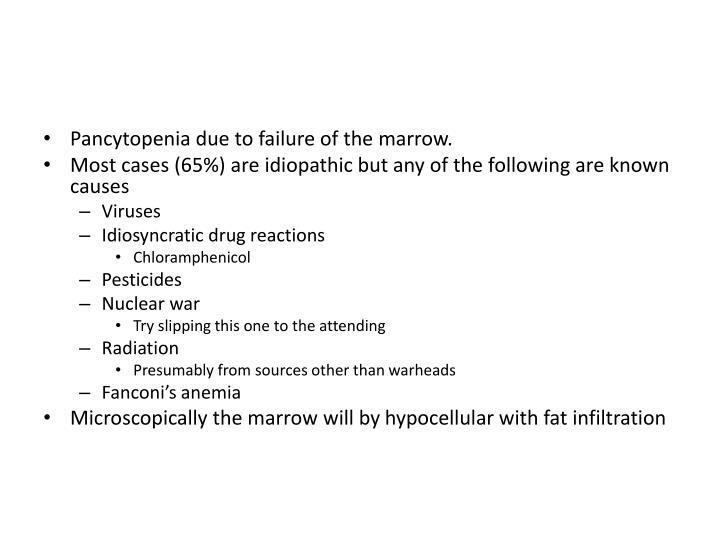 Pancytopenia due to failure of the marrow. 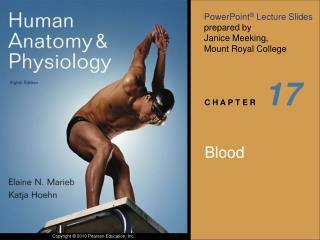 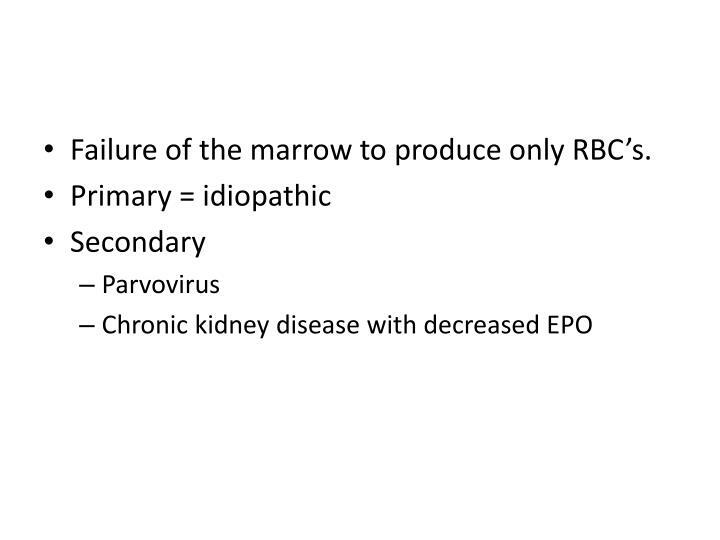 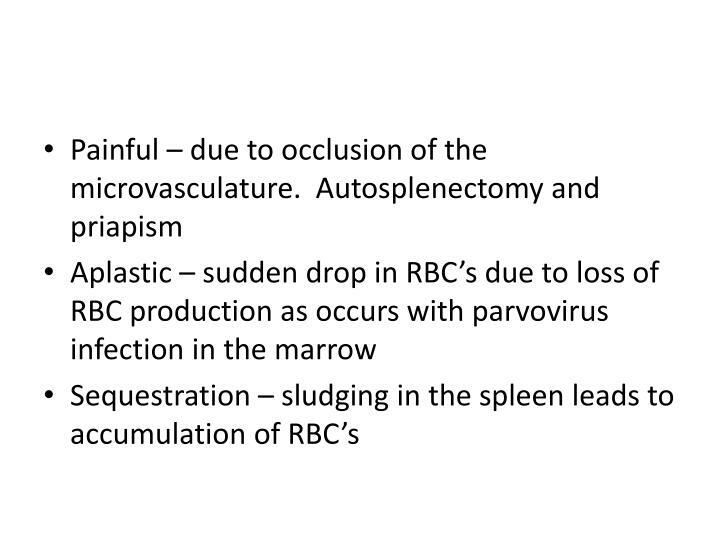 Failure of the marrow to produce only RBC’s. 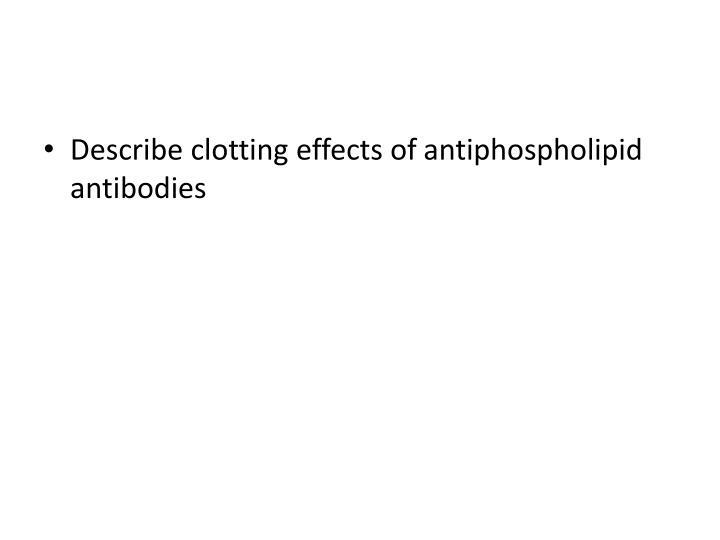 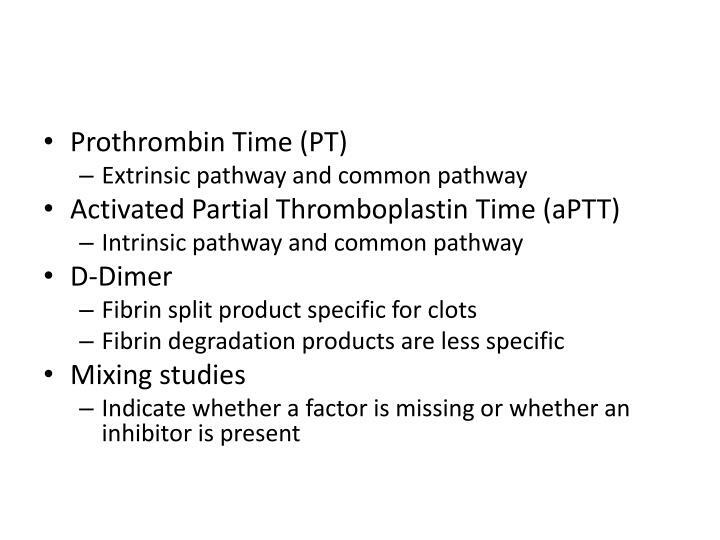 Antithrombin inhibits several factors including thrombin (IIa). 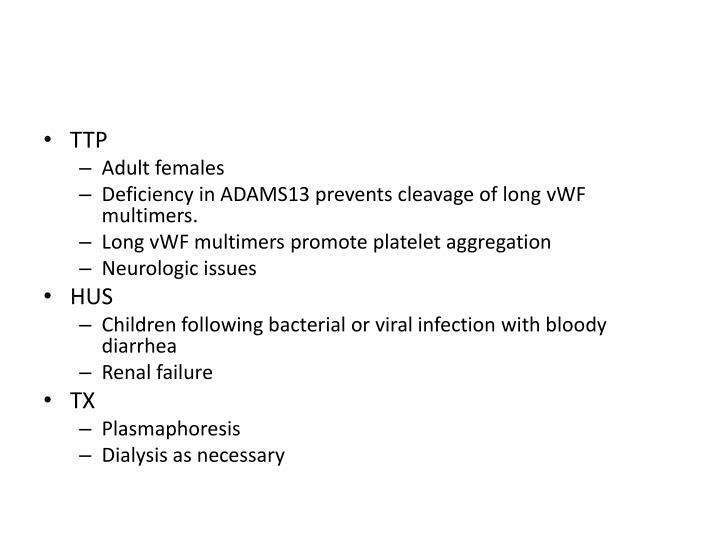 Deficiency in ADAMS13 prevents cleavage of long vWFmultimers. 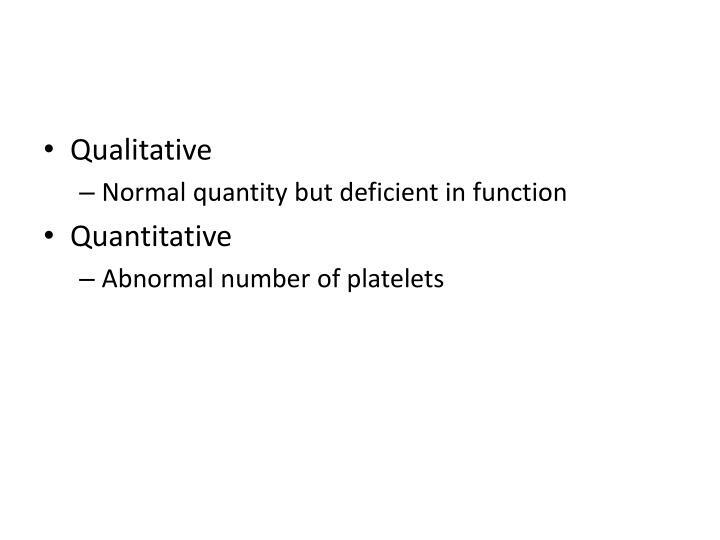 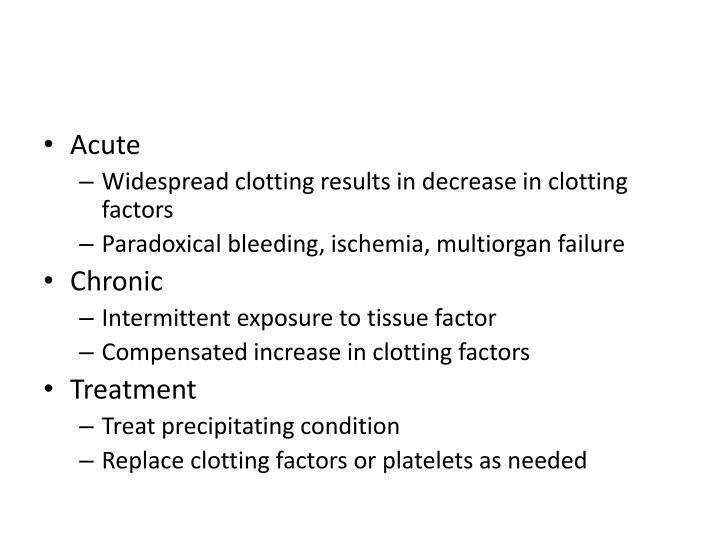 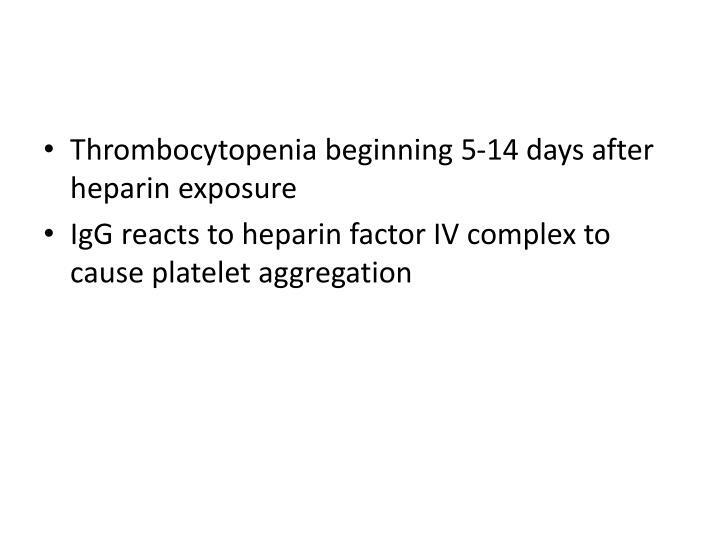 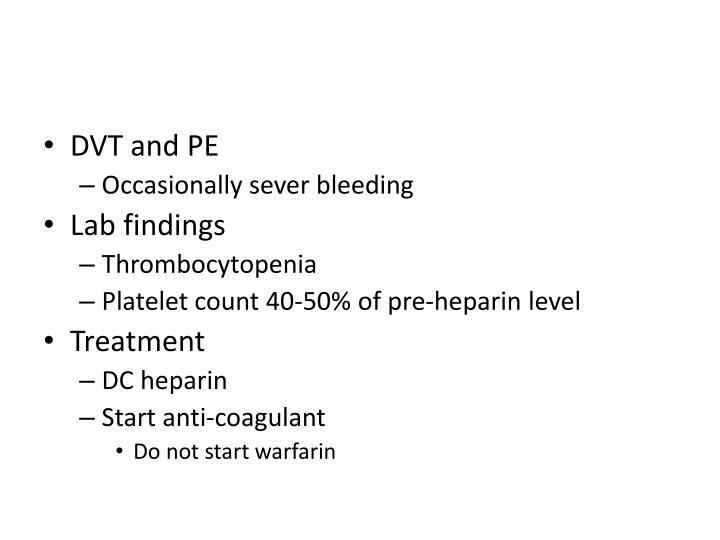 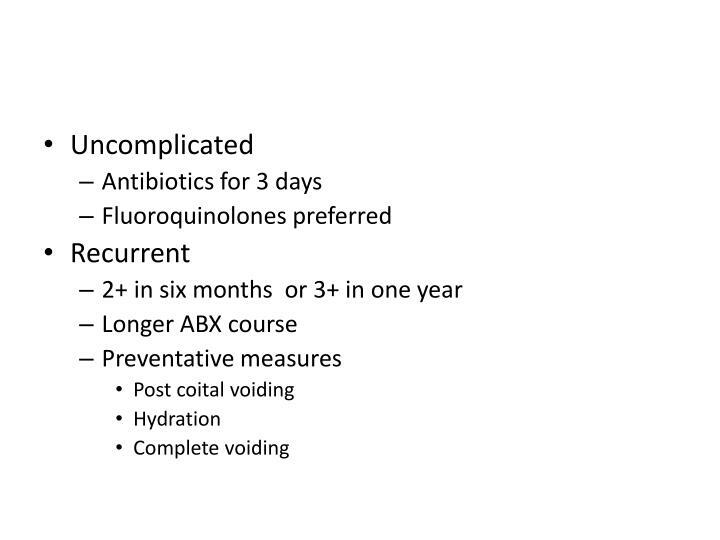 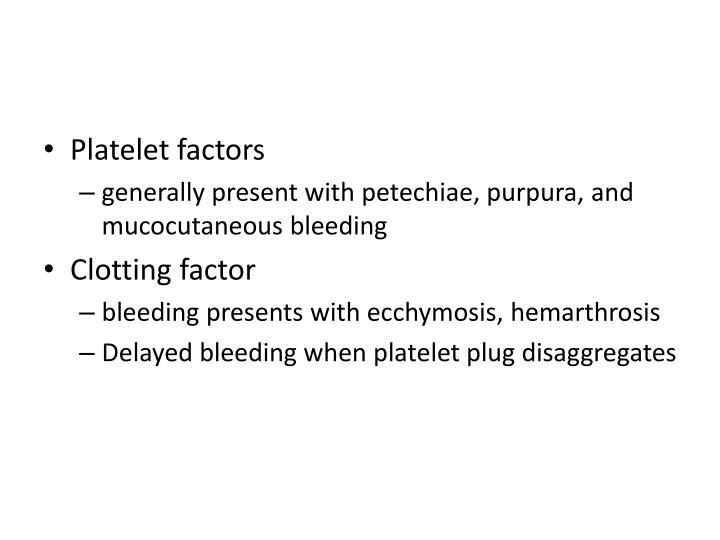 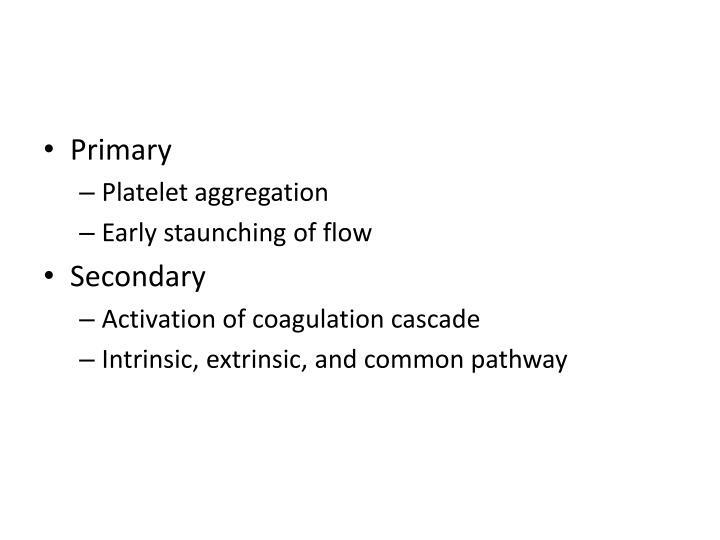 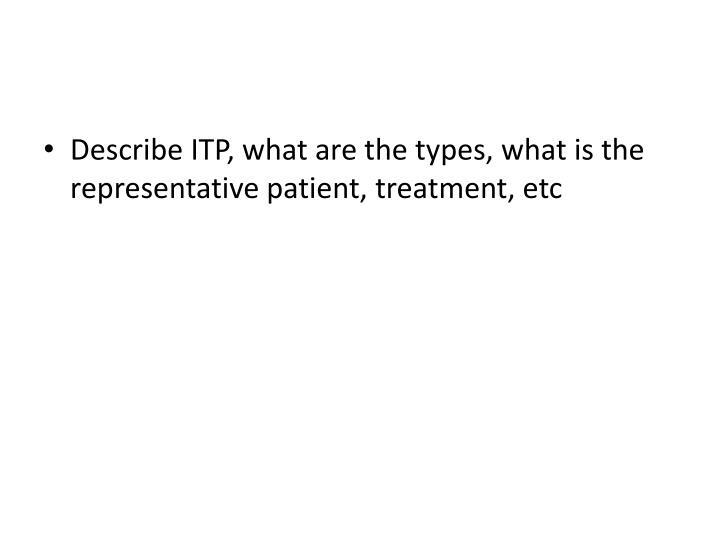 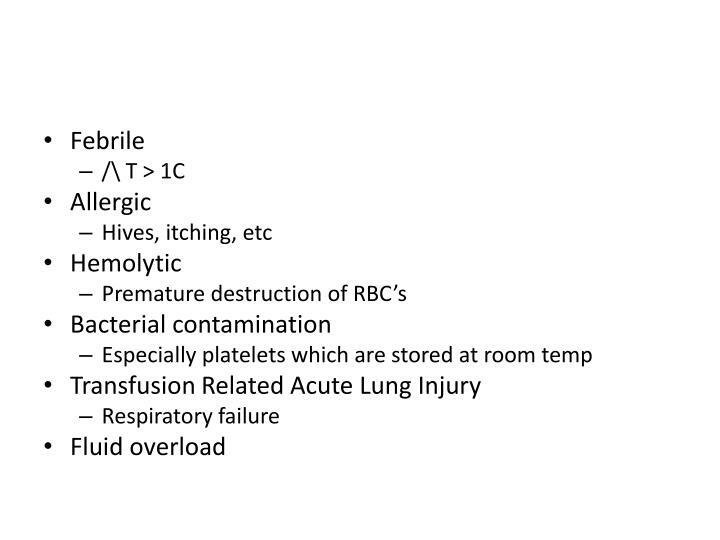 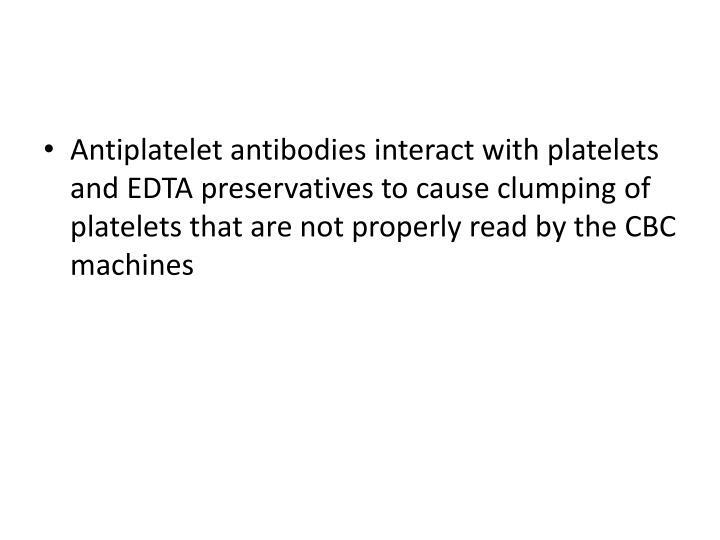 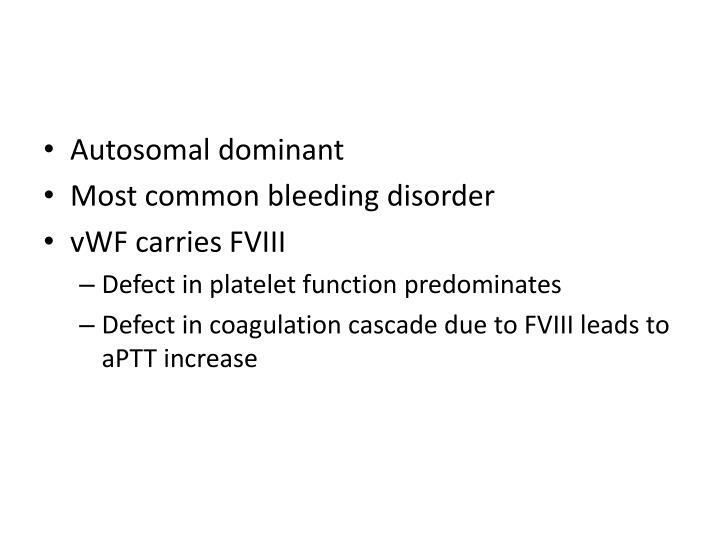 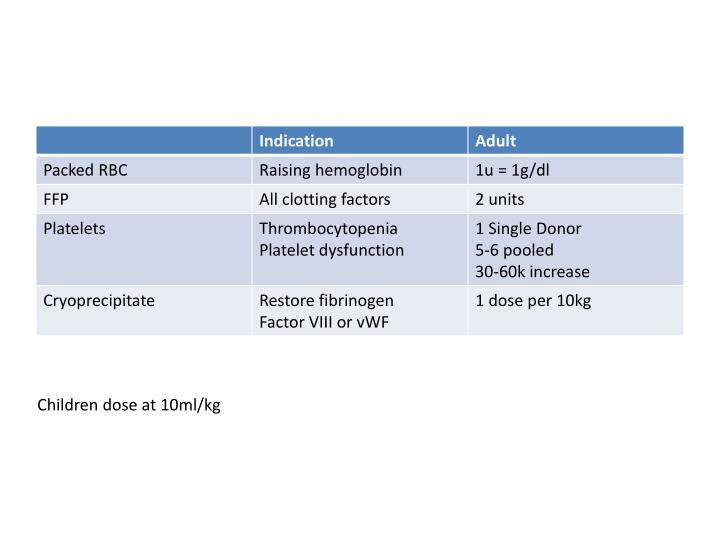 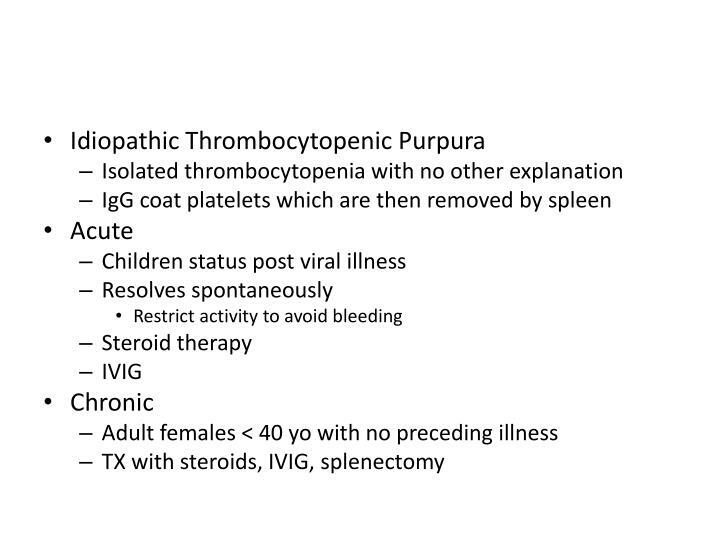 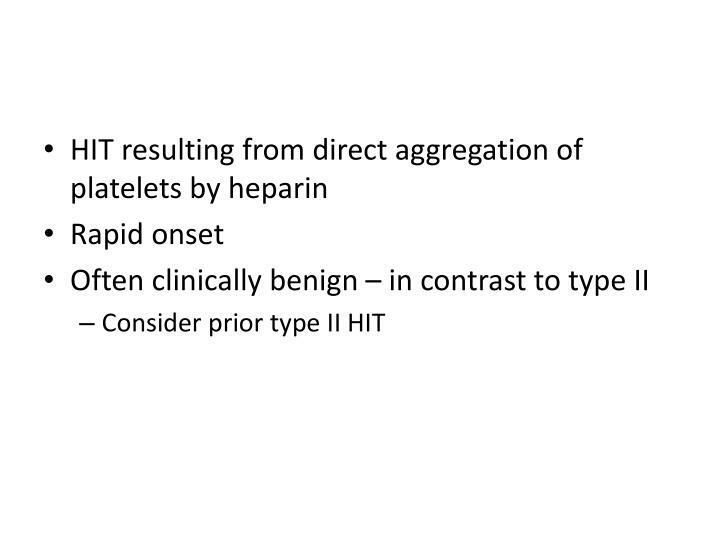 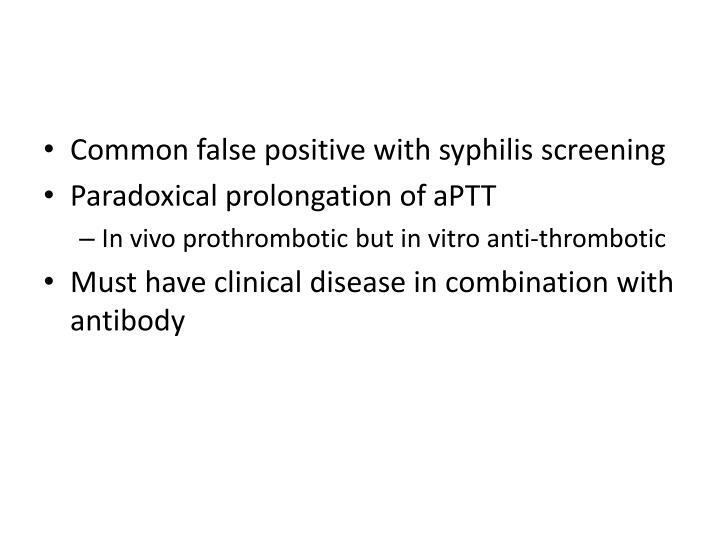 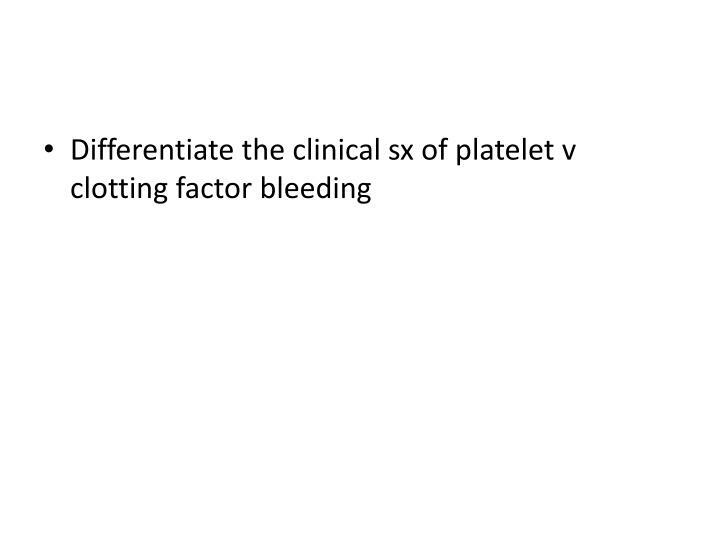 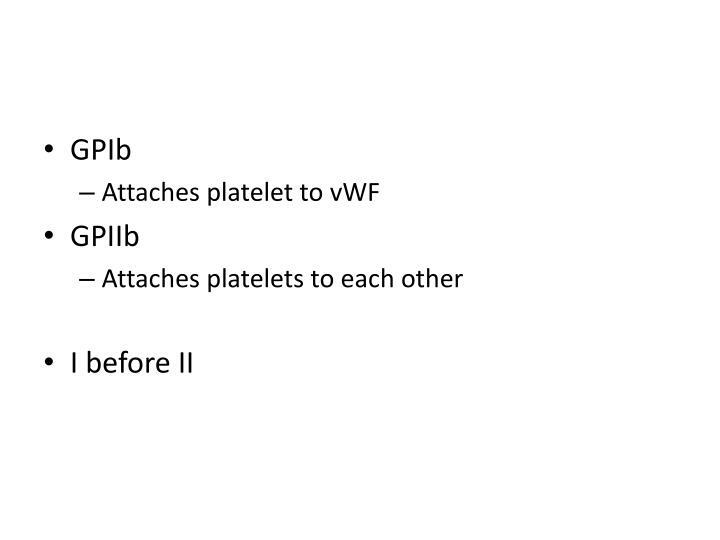 What is the difference between qualitative and quantitative platelet disorders? 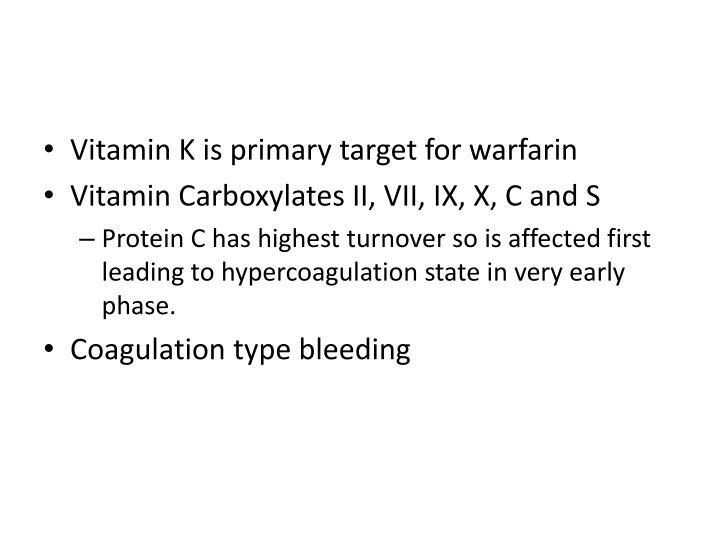 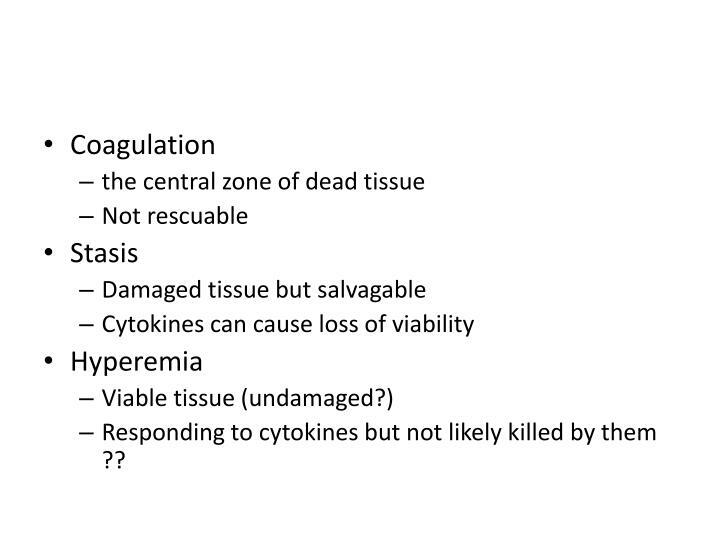 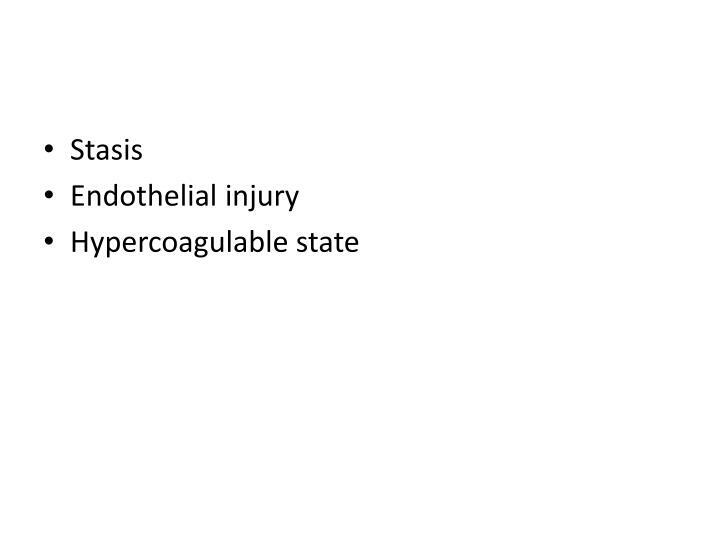 Protein C has highest turnover so is affected first leading to hypercoagulation state in very early phase. 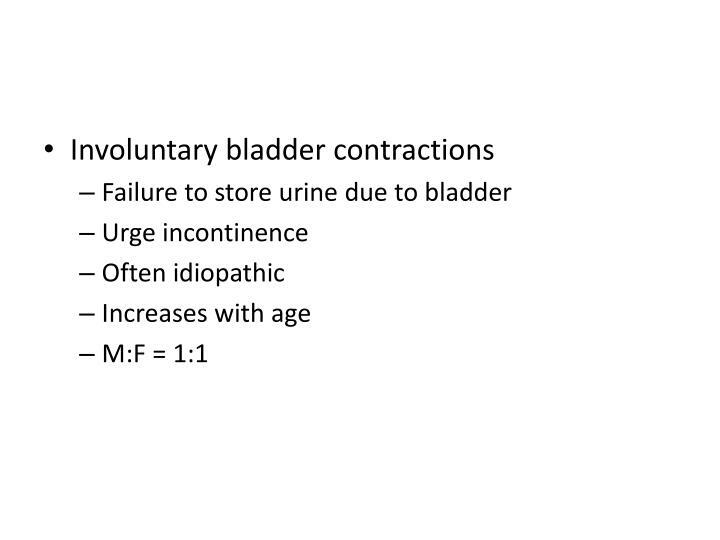 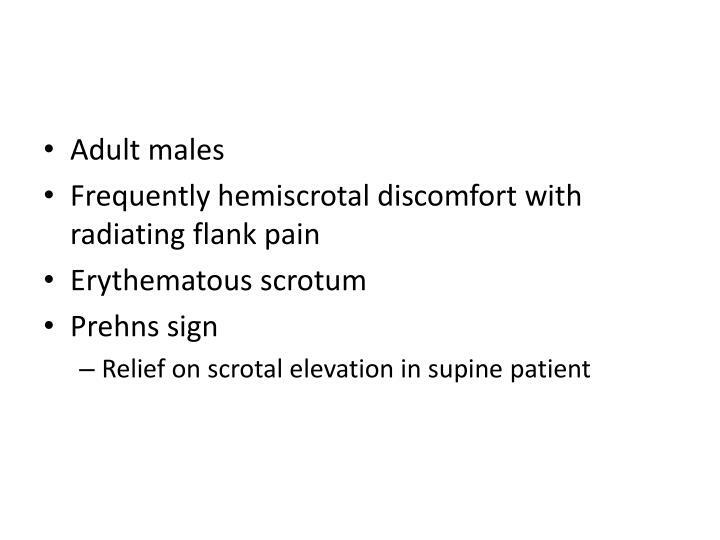 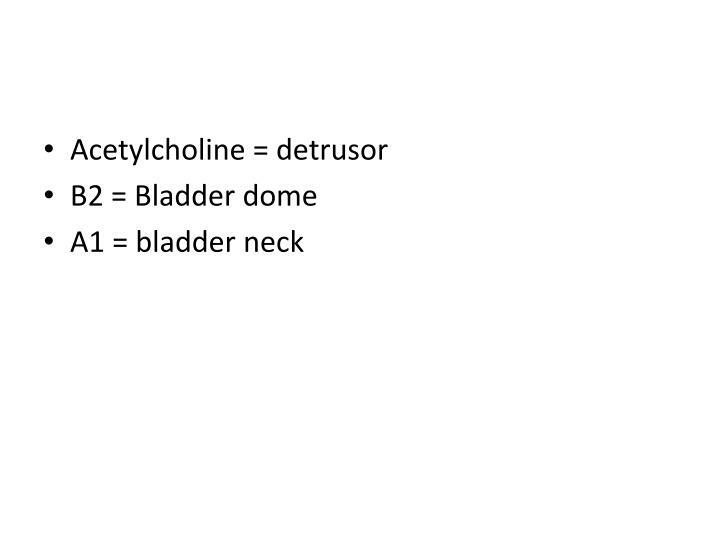 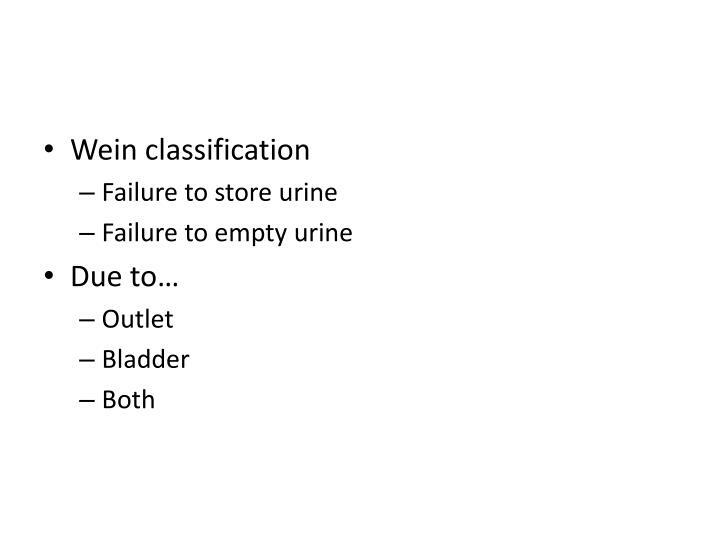 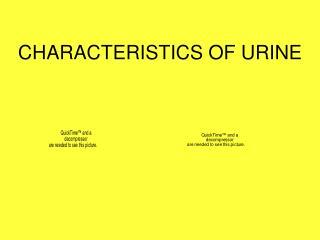 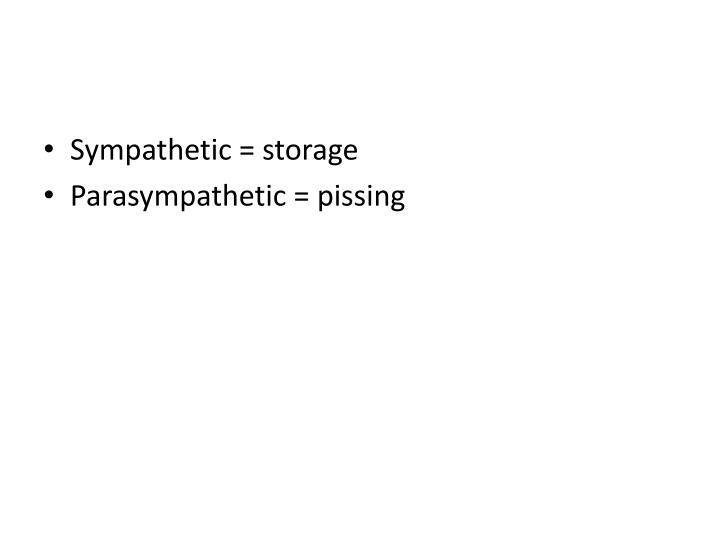 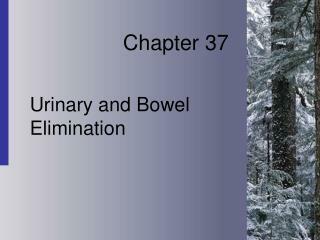 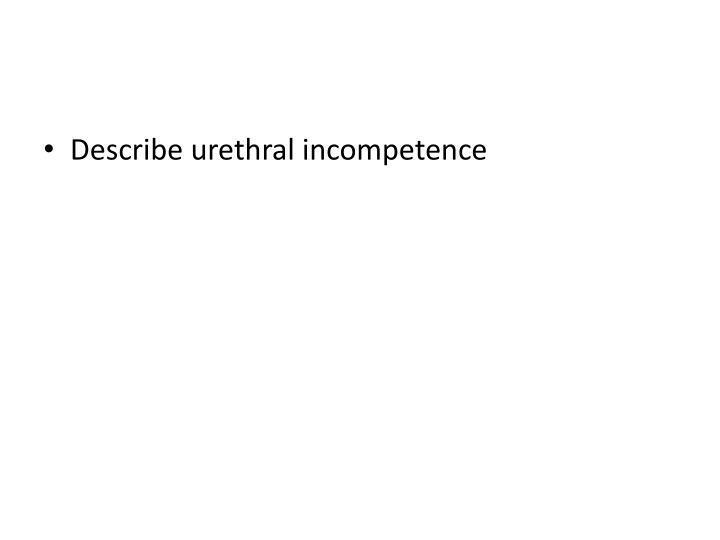 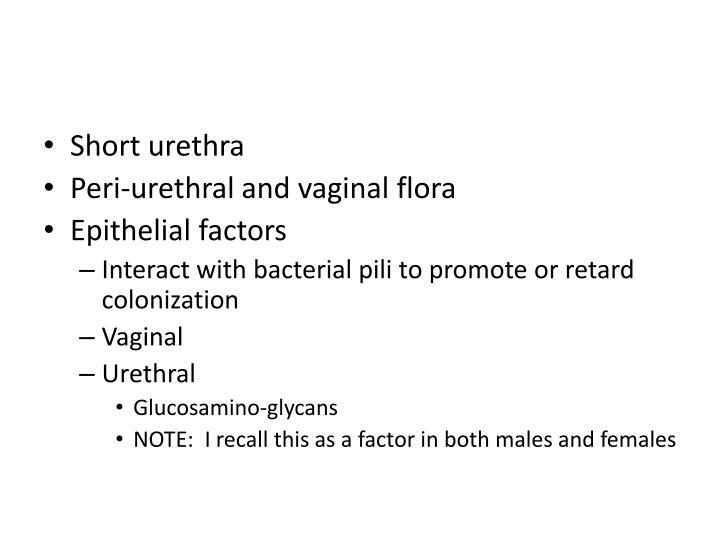 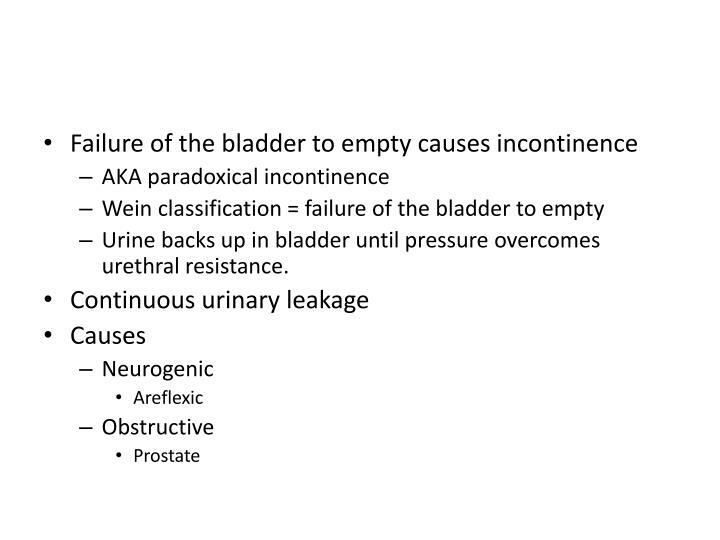 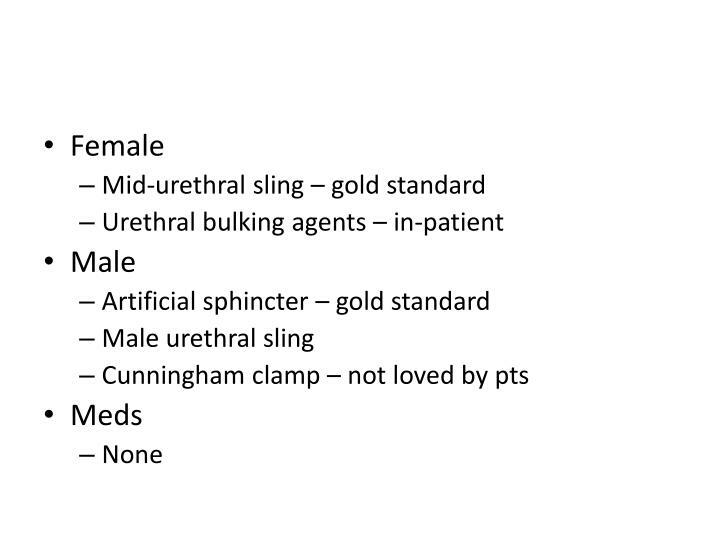 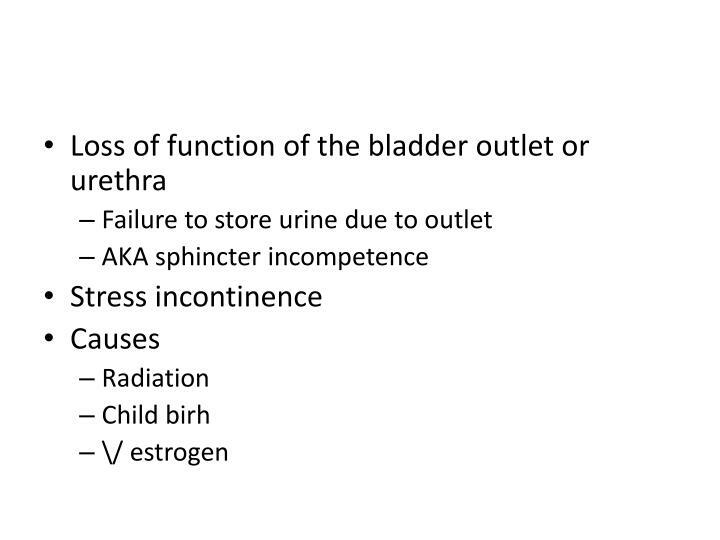 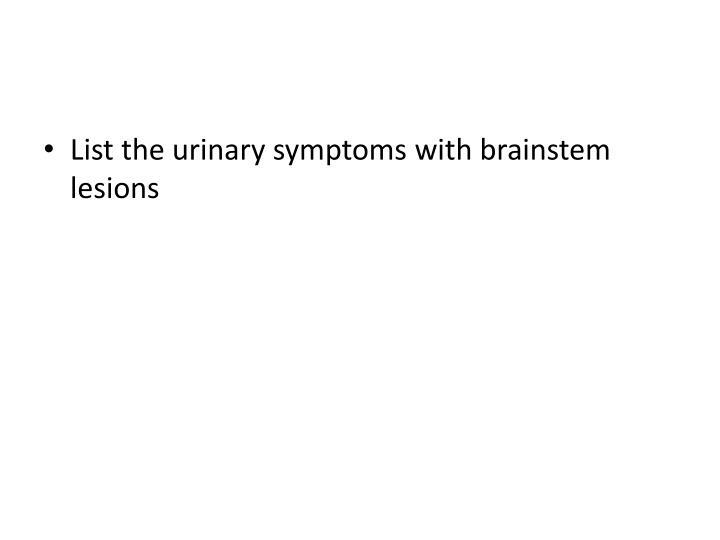 Urine backs up in bladder until pressure overcomes urethral resistance. 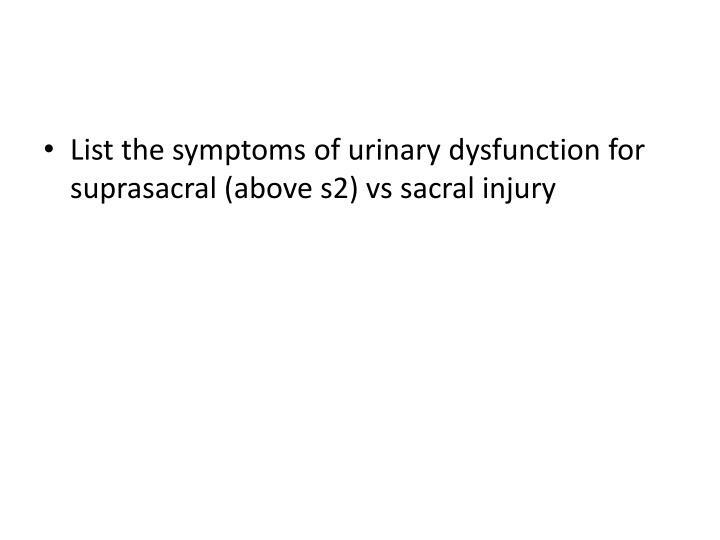 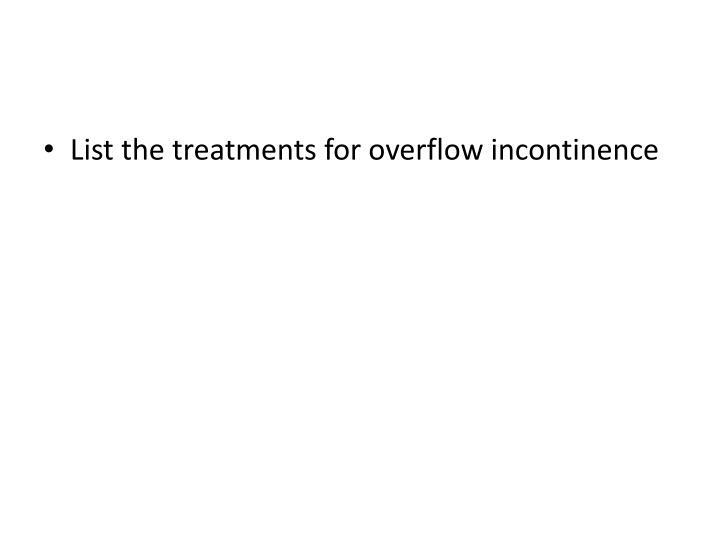 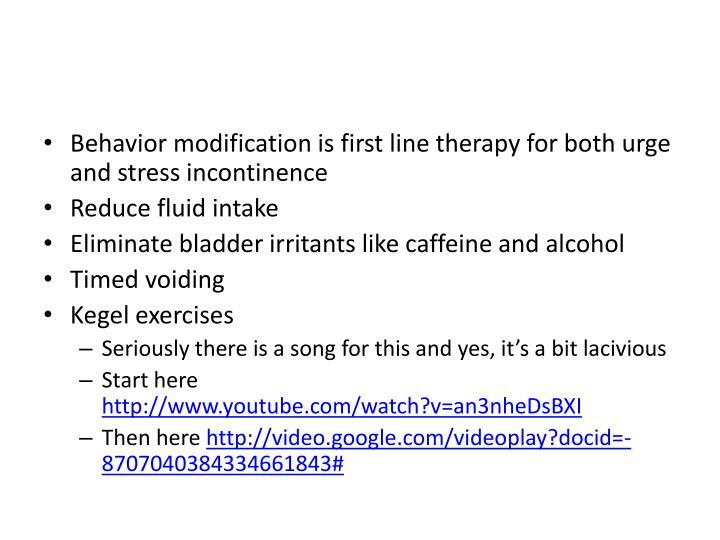 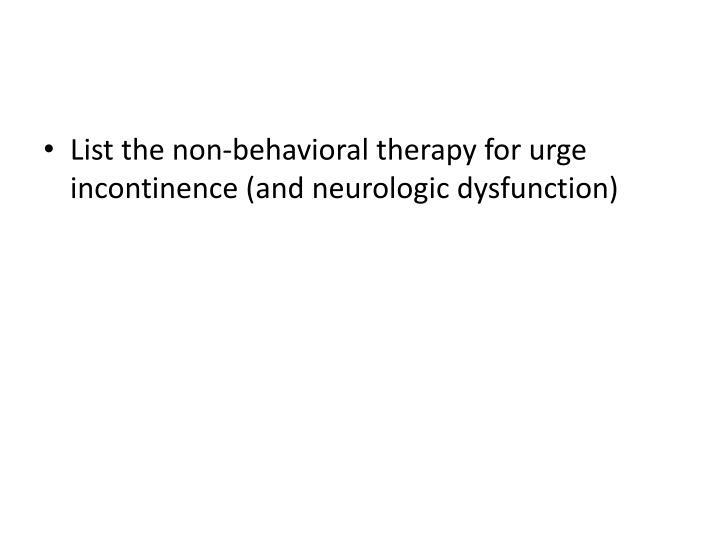 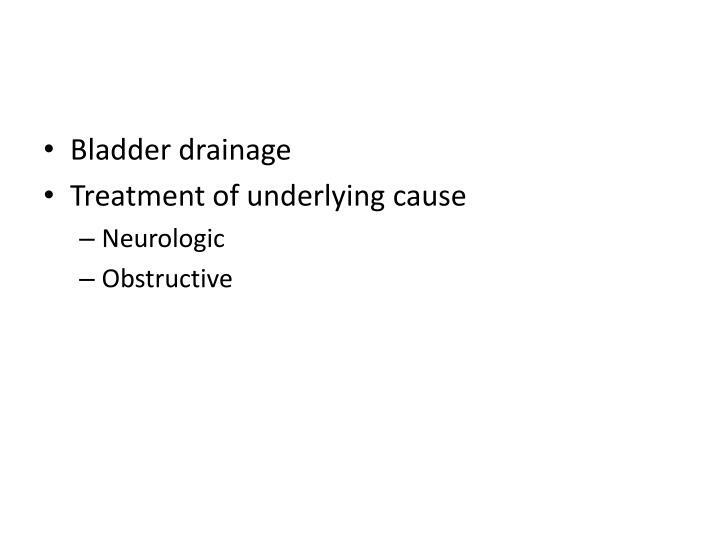 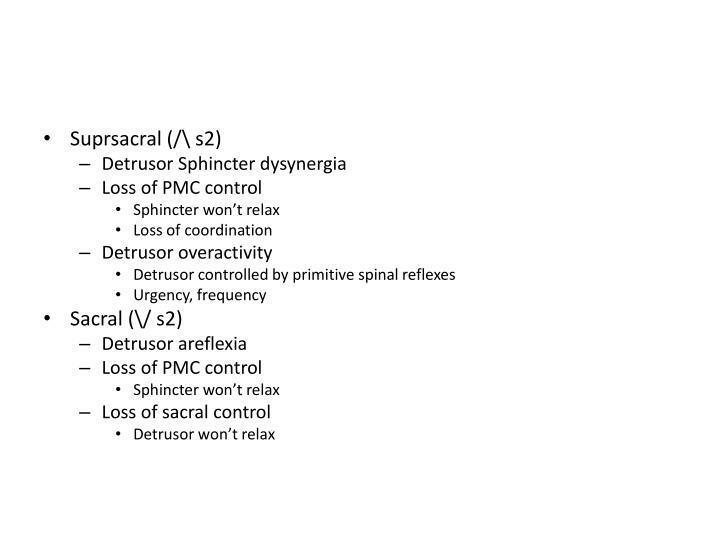 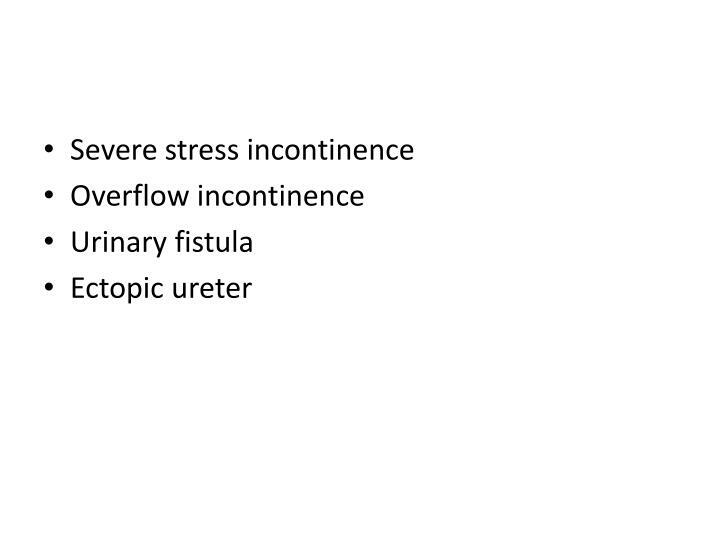 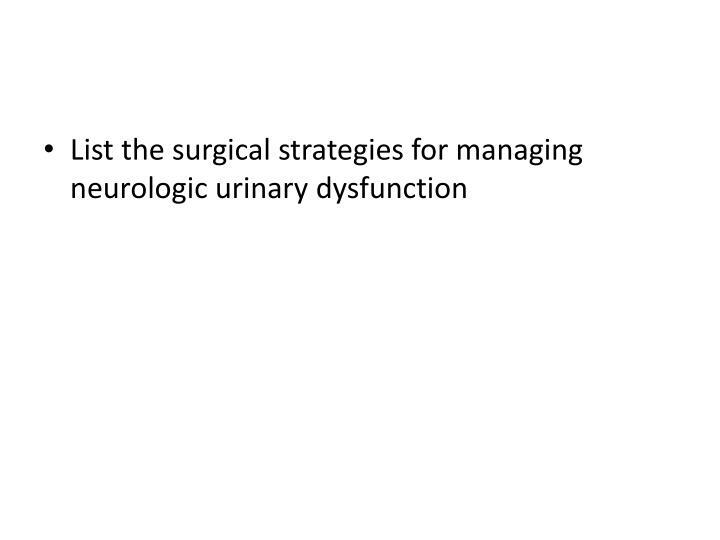 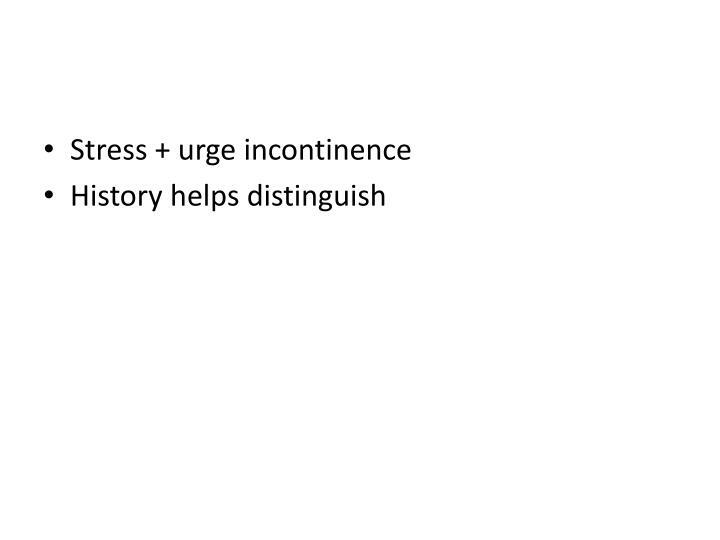 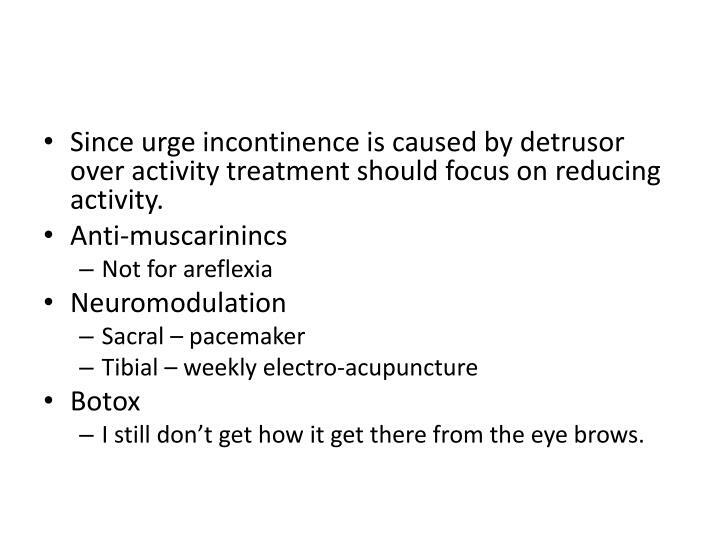 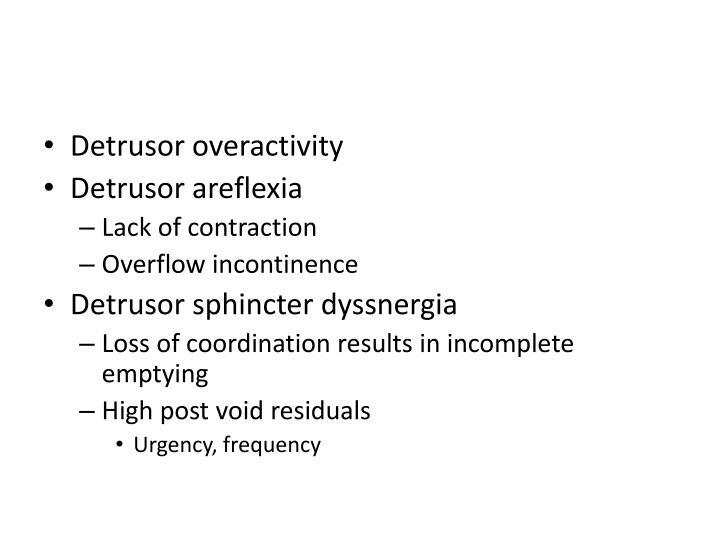 Since urge incontinence is caused by detrusor over activity treatment should focus on reducing activity. I still don’t get how it get there from the eye brows. 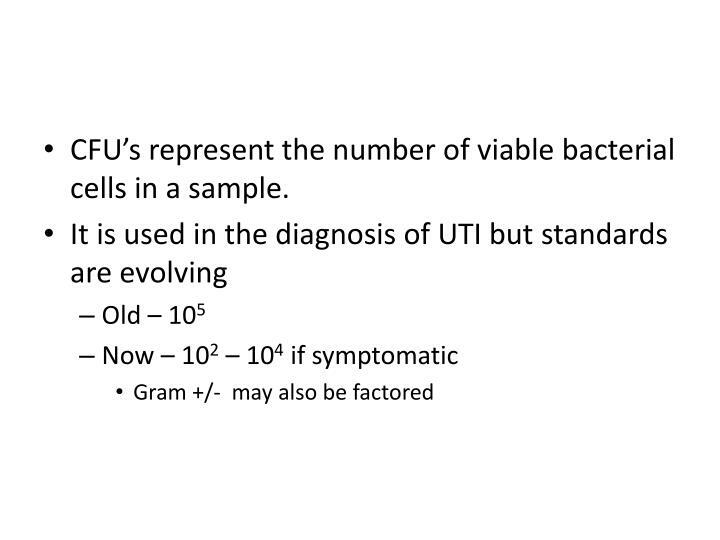 CFU’s represent the number of viable bacterial cells in a sample. 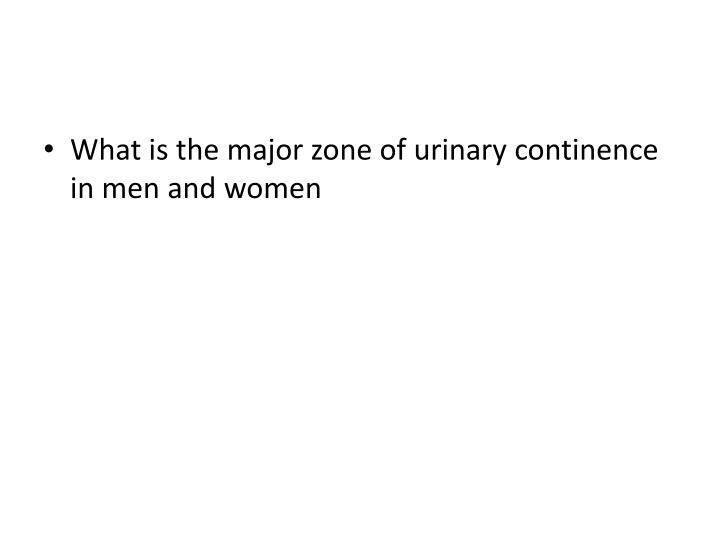 Why /\ males? 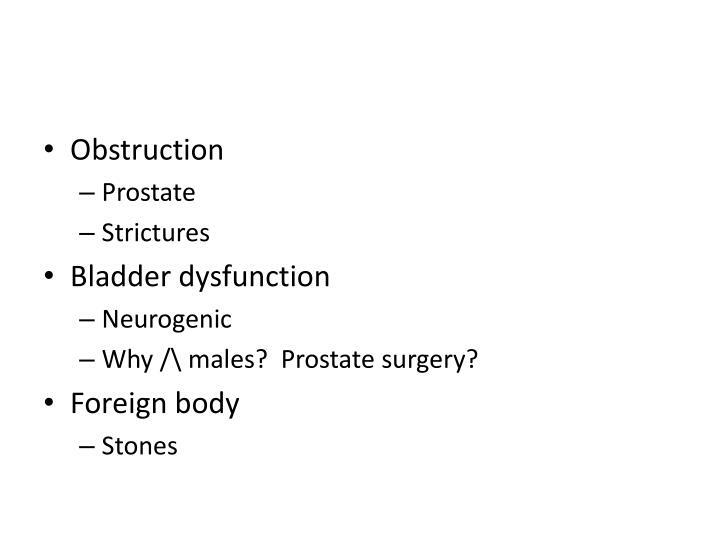 Prostate surgery? 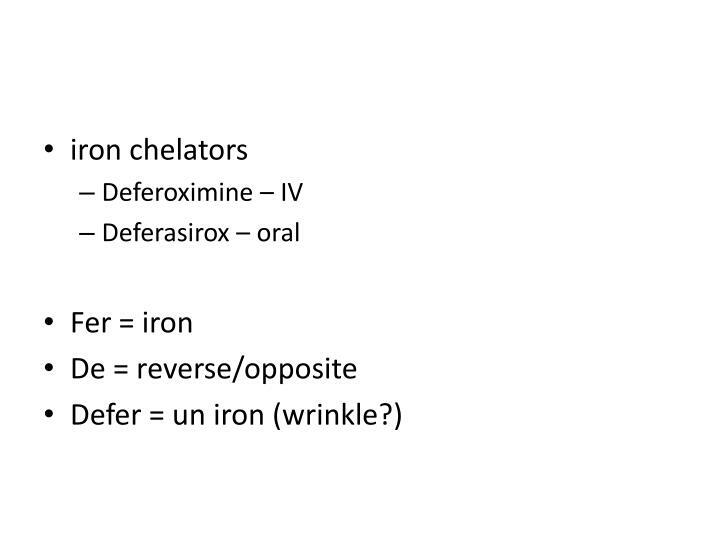 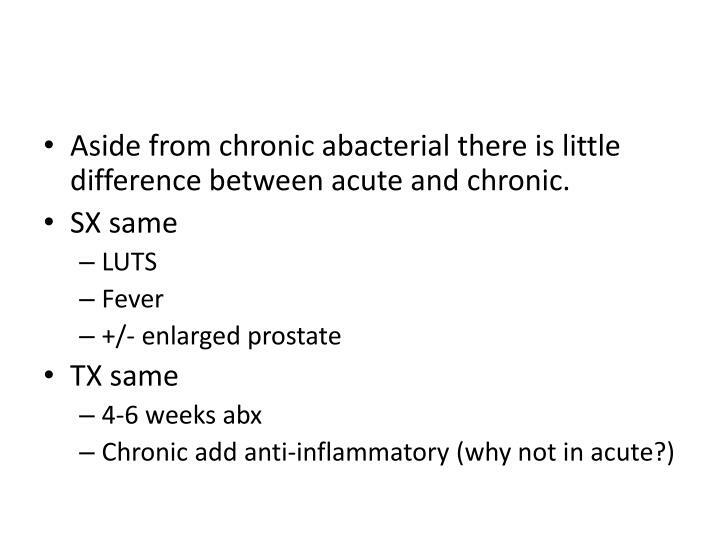 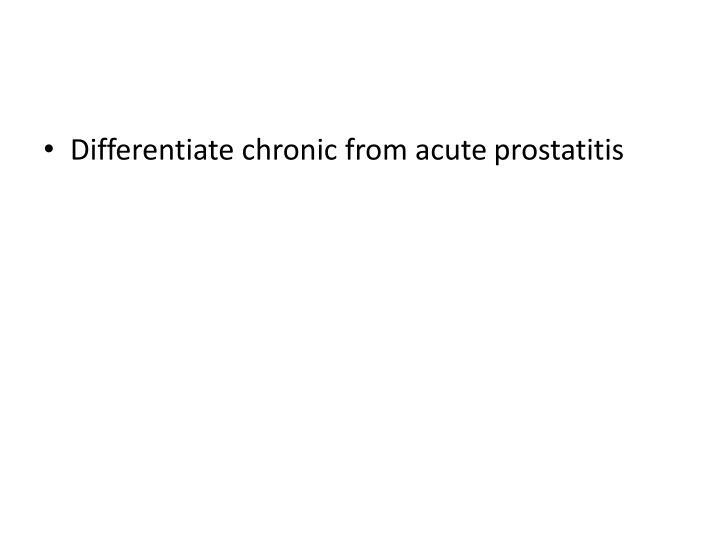 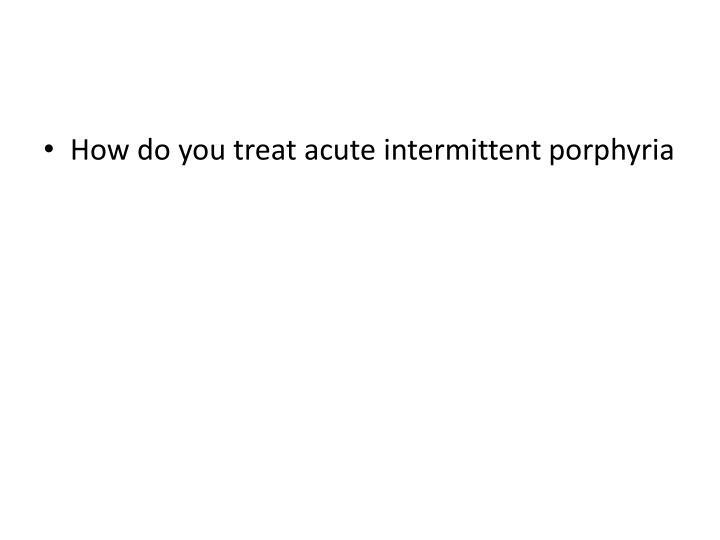 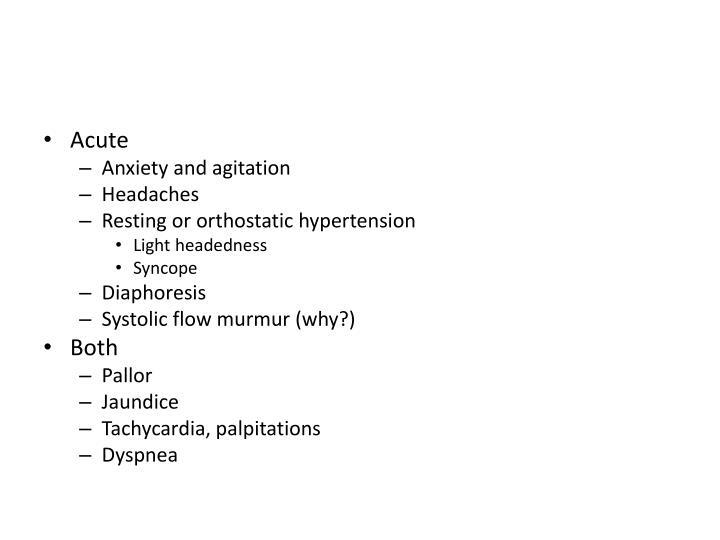 Aside from chronic abacterial there is little difference between acute and chronic. 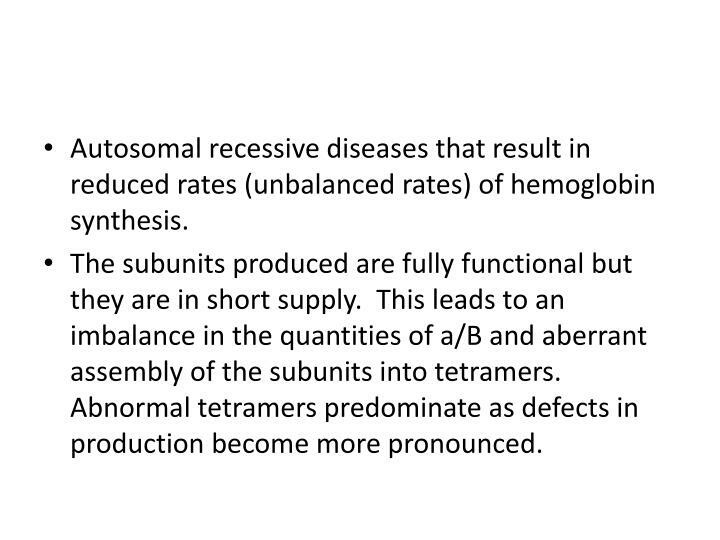 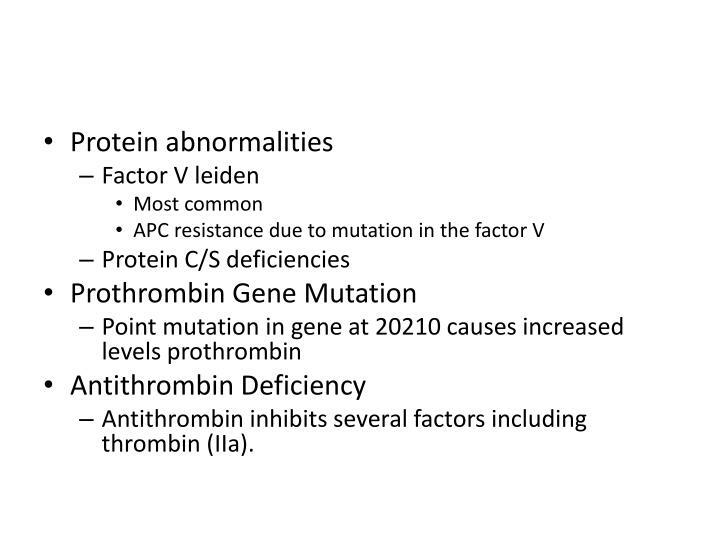 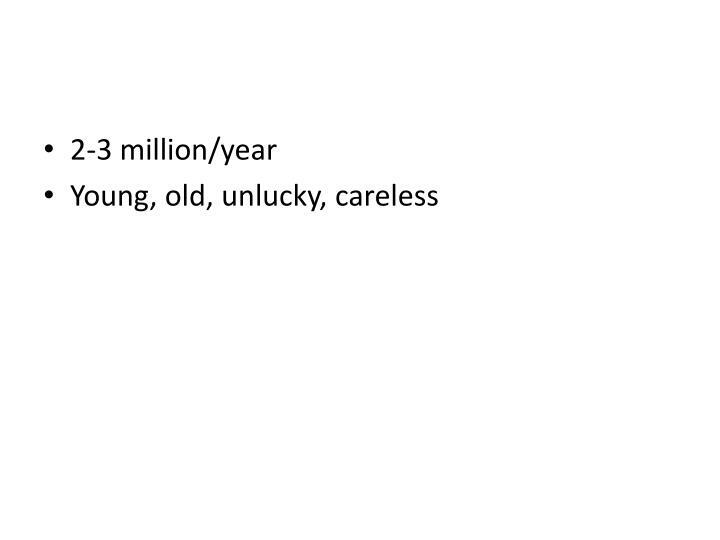 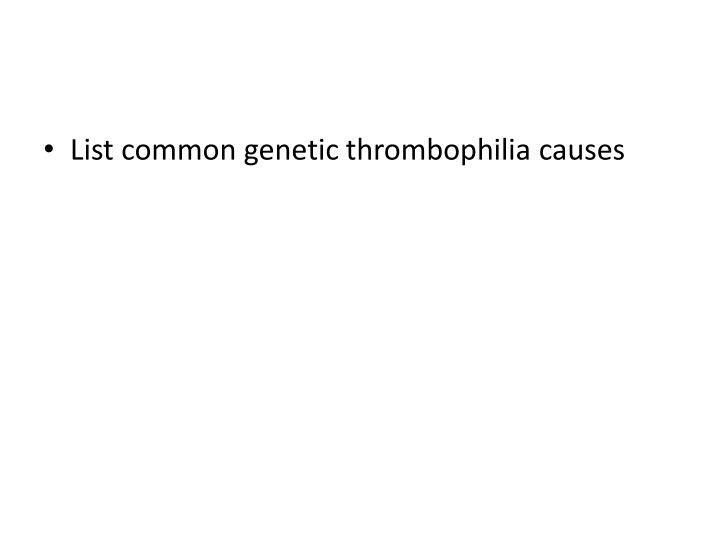 Autosomal recessive diseases that result in reduced rates (unbalanced rates) of hemoglobin synthesis. 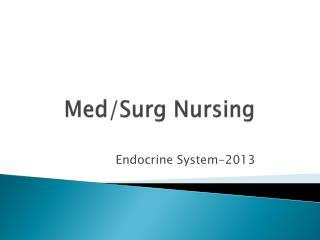 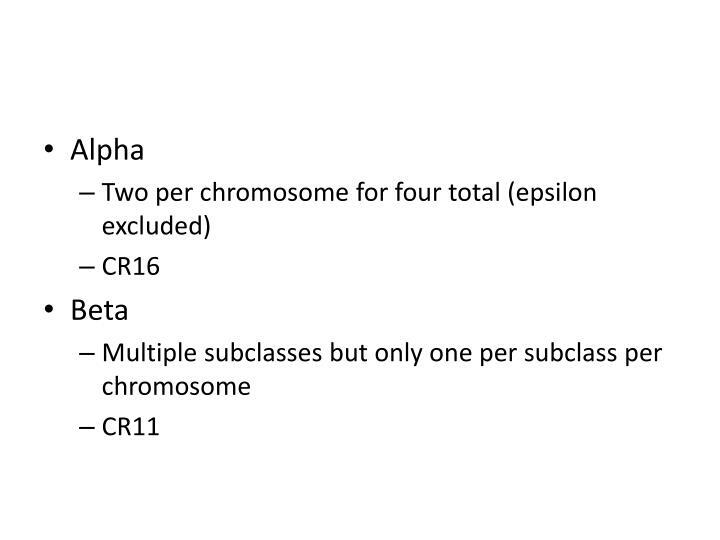 The subunits produced are fully functional but they are in short supply. This leads to an imbalance in the quantities of a/B and aberrant assembly of the subunits into tetramers. Abnormal tetramers predominate as defects in production become more pronounced. 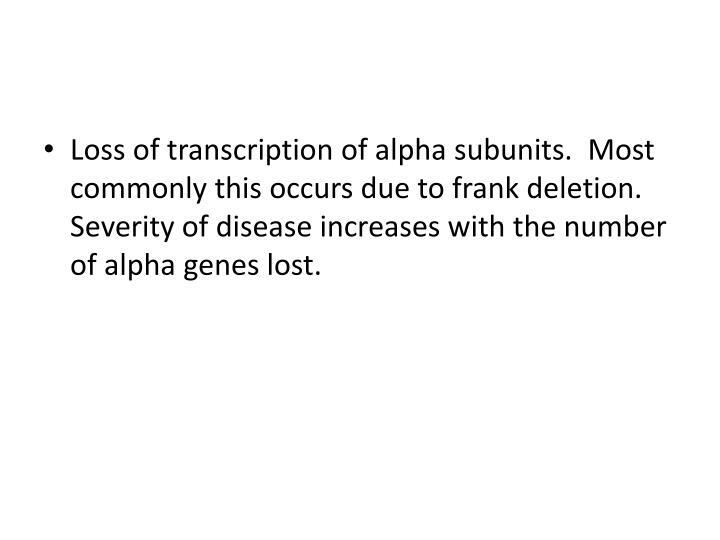 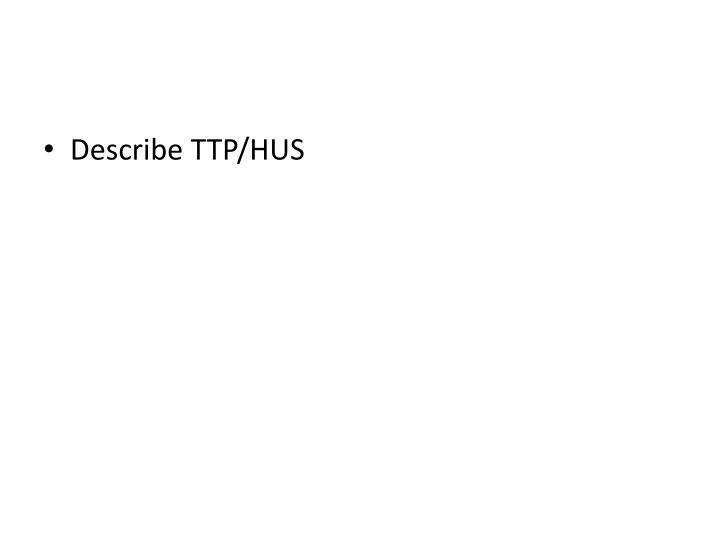 Loss of transcription of alpha subunits. 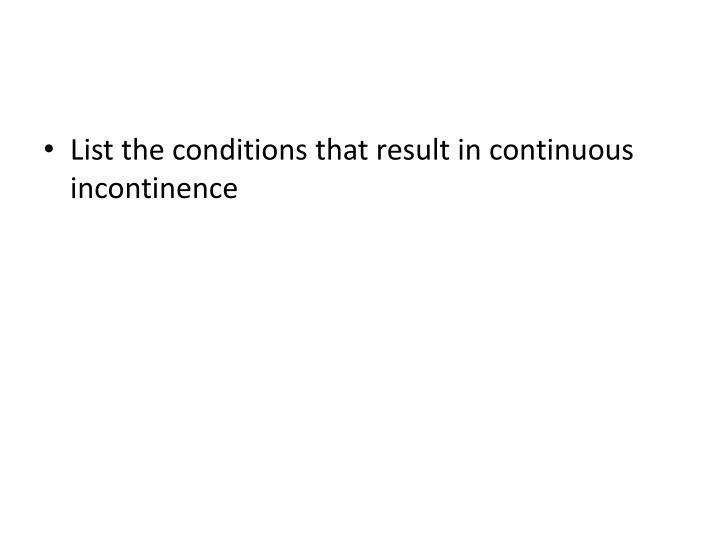 Most commonly this occurs due to frank deletion. 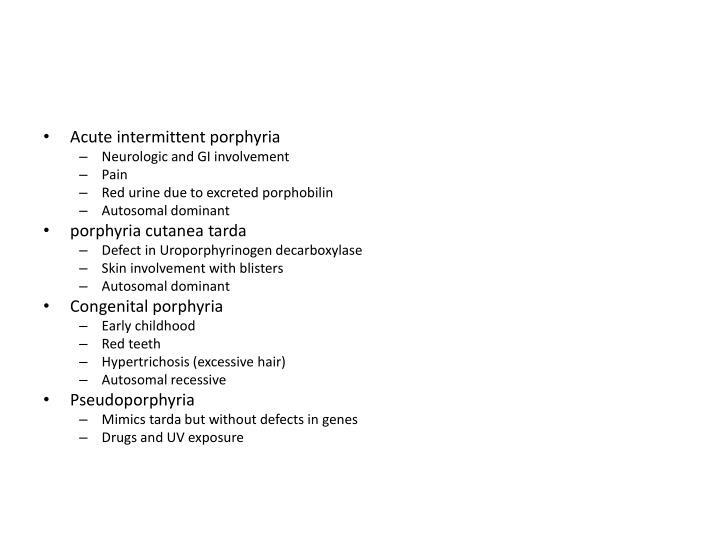 Severity of disease increases with the number of alpha genes lost. 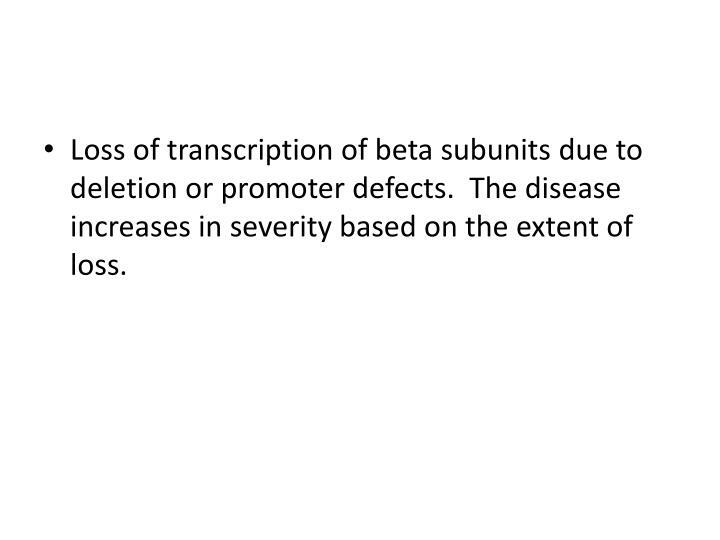 Loss of transcription of beta subunits due to deletion or promoter defects. 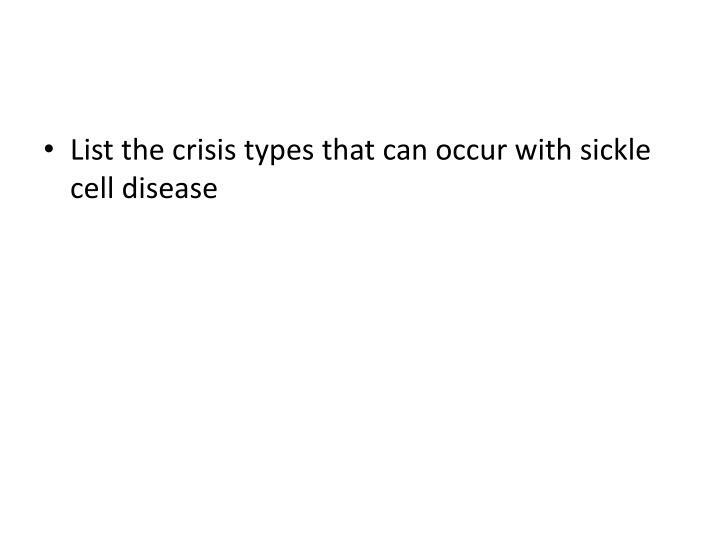 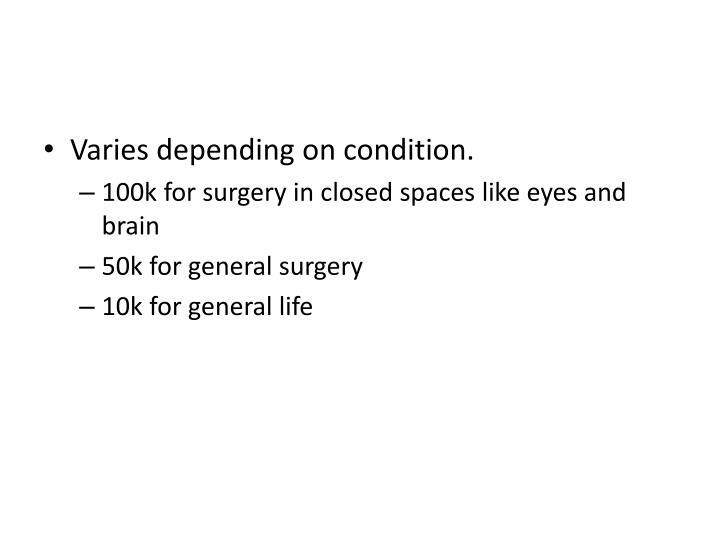 The disease increases in severity based on the extent of loss. 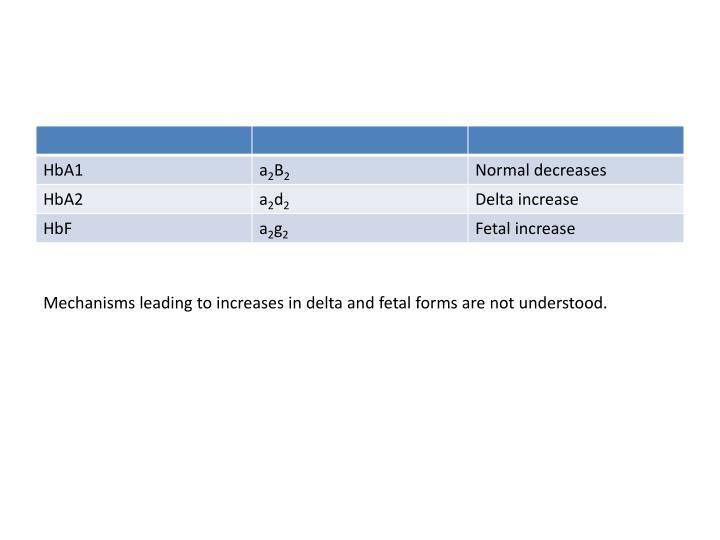 Mechanisms leading to increases in delta and fetal forms are not understood. The important point here is to understand that the relative function is important. One gene functioning at 90% is better than two at 10%. 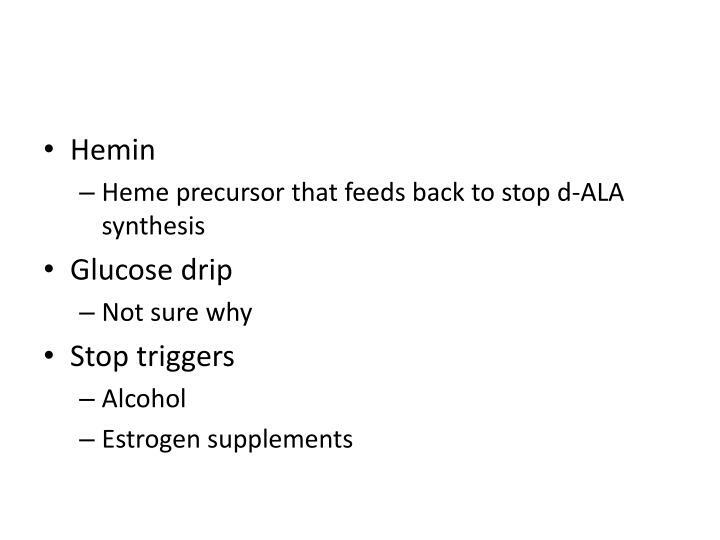 What nutritional supplementation needs to be given to thalassemia patients? What is a 1st, 2nd, 3rd, and 4th degree burn? Responding to cytokines but not likely killed by them ?? 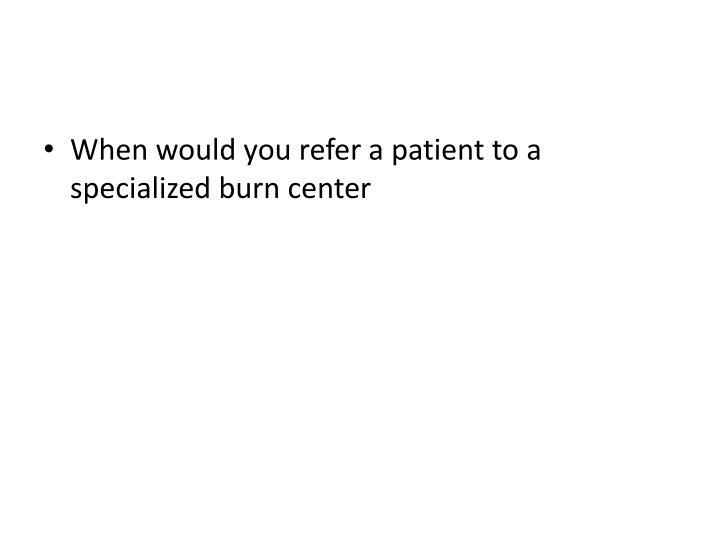 Burn patients have significant insensible loss and edema. 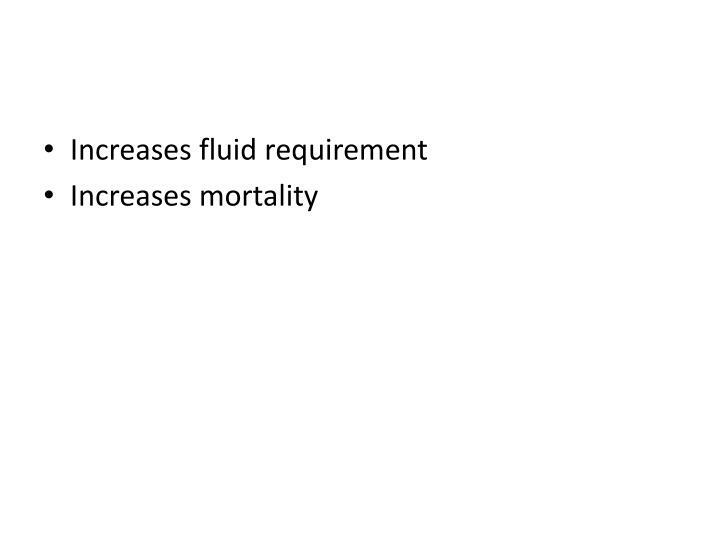 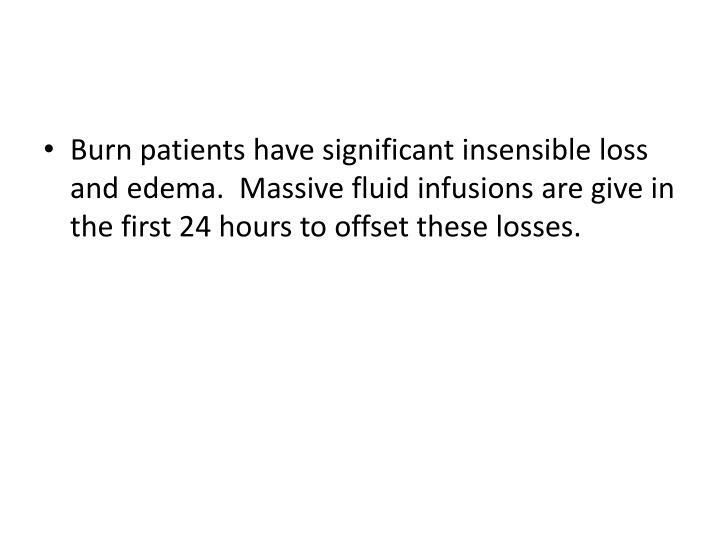 Massive fluid infusions are give in the first 24 hours to offset these losses. 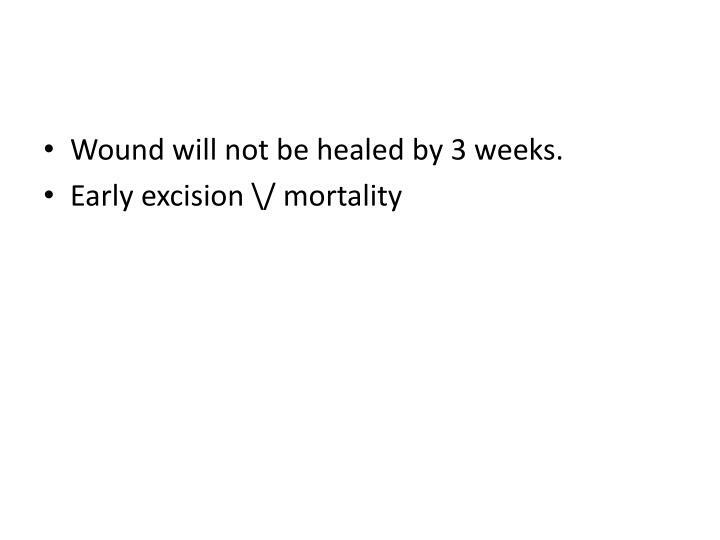 Wound will not be healed by 3 weeks. 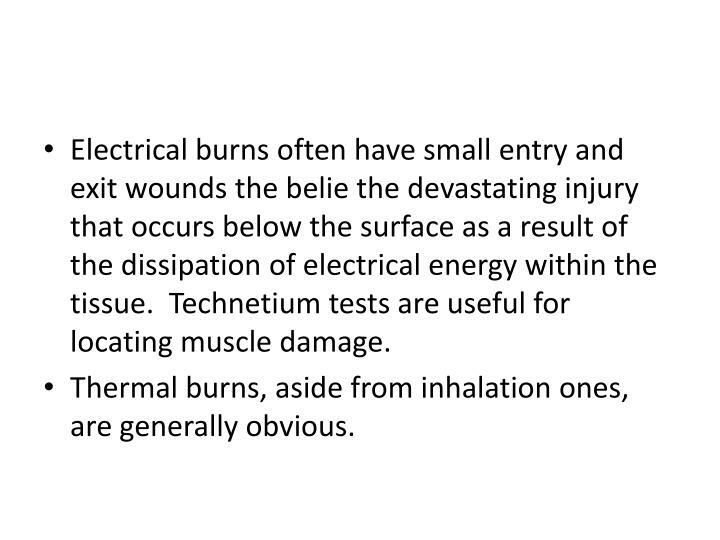 Electrical burns often have small entry and exit wounds the belie the devastating injury that occurs below the surface as a result of the dissipation of electrical energy within the tissue. 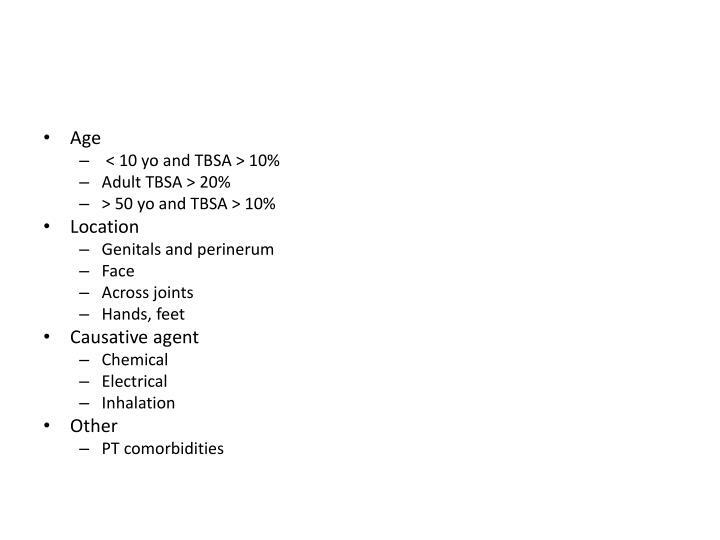 Technetium tests are useful for locating muscle damage. 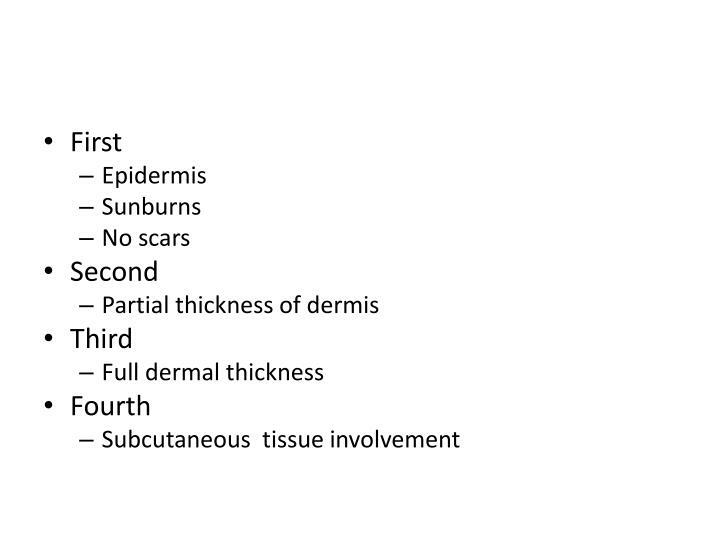 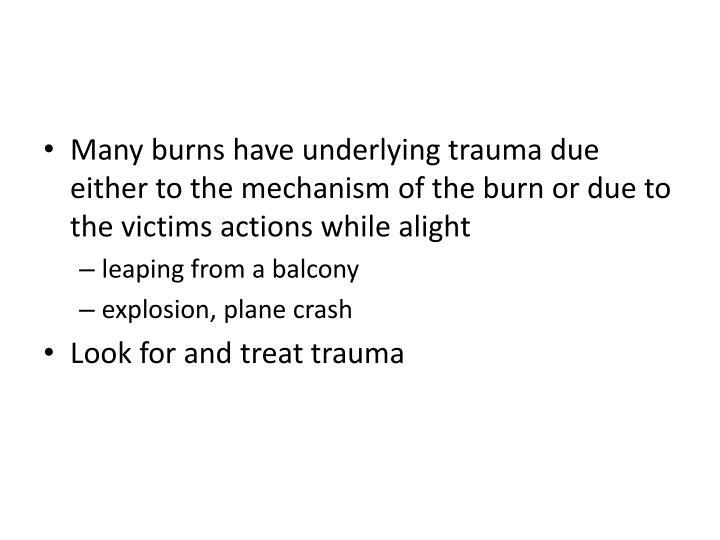 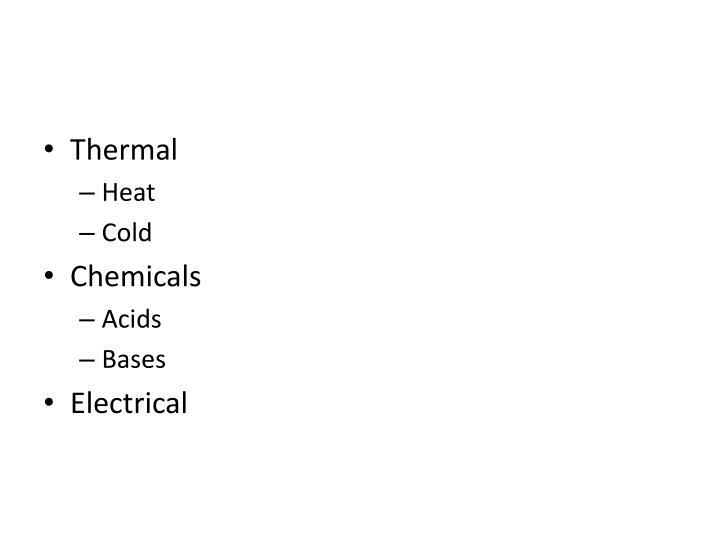 Thermal burns, aside from inhalation ones, are generally obvious. 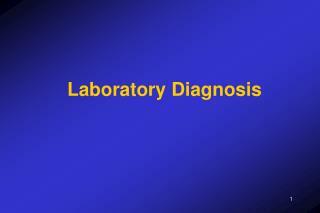 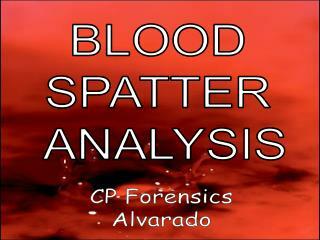 Laboratory Diagnosis -. 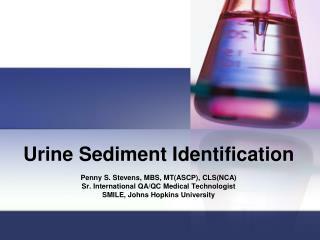 category of sample. 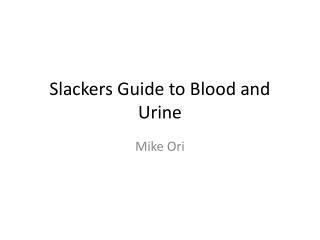 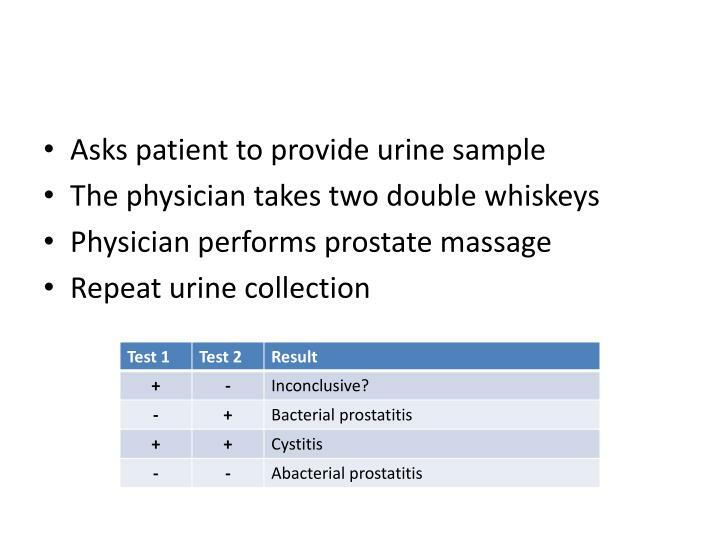 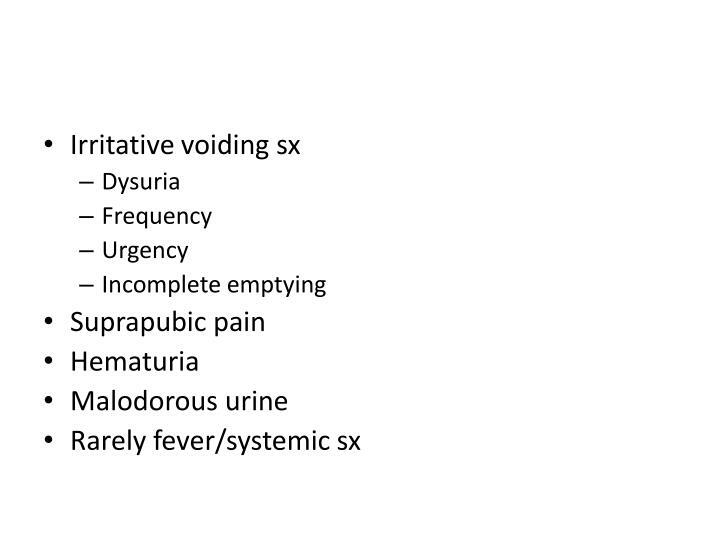 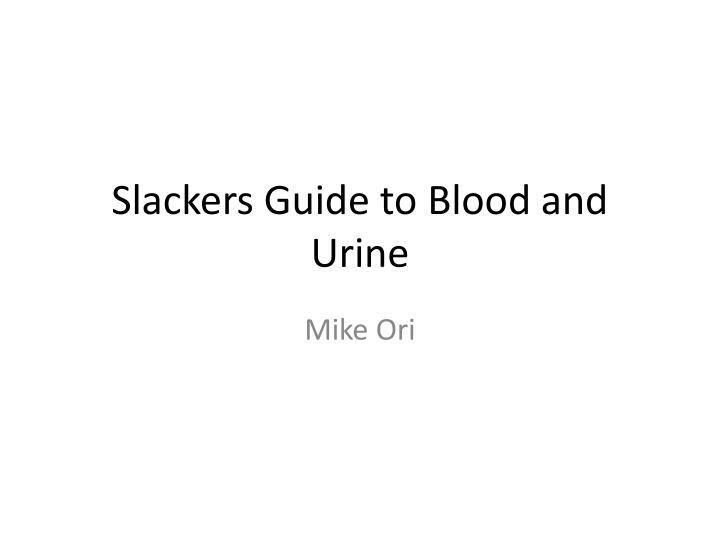 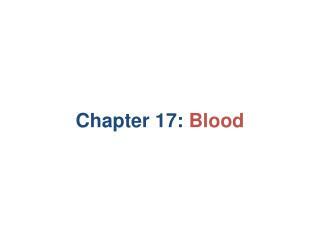 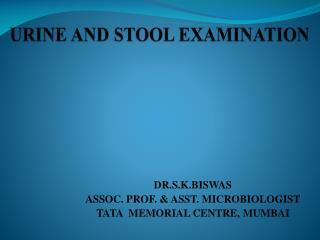 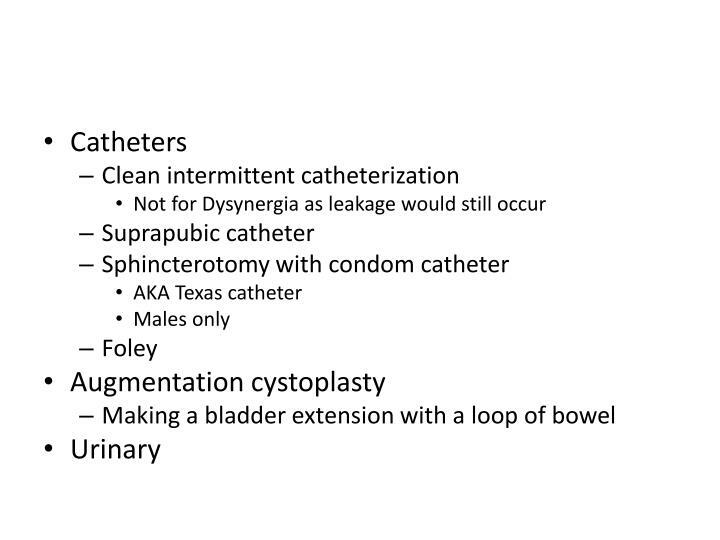 blood, urine, stool, nasal washing, nasal swab , throat swab, saliva , sputum, rectal swab, vesicle fluid( scraping or swab), tissue ,brain biopsy, cerebrospinal fluid, et al. 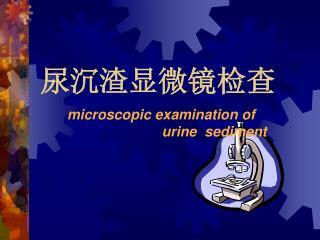 laboratory diagnosis.